The Southern Colorado Andersons (that’s Mike, Janelle, Lucas and Axel) are finally on our way to Europe! We are flying into Frankfurt, Germany, then heading south to the Alps. 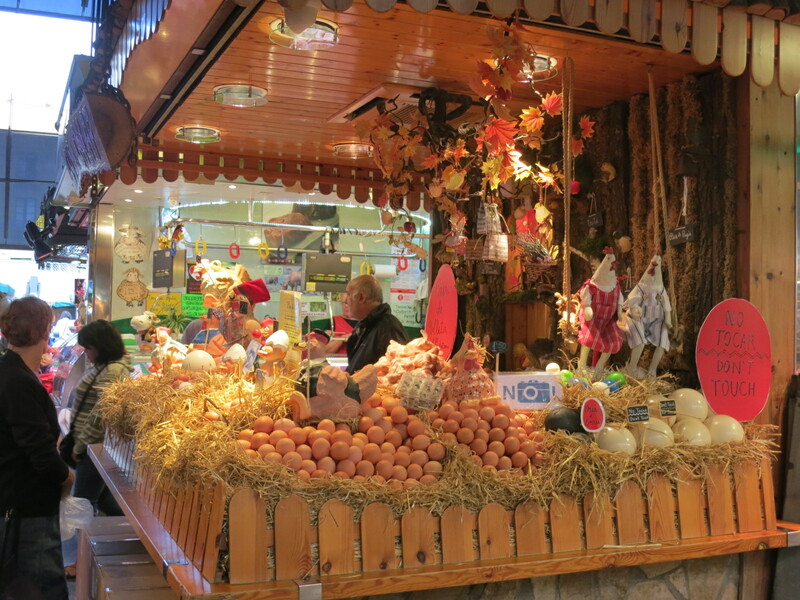 We’ll be staying in Ellmau, a quaint ski village in the heart of the Tirol region. We hope to sample Austria’s incredible rock…specifically the limestone and granite. I know…the list is too long! If you know these areas, please give us your route recommendations. 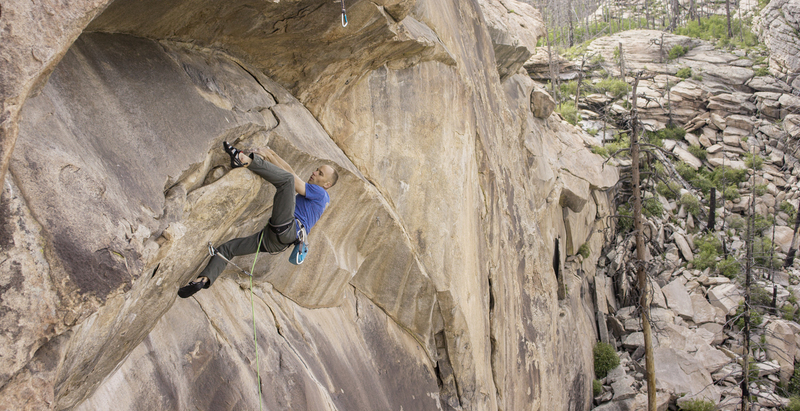 We’ll be psyched to try any great routes from 7a to 8c! When I planned the trip, I was dreaming of limestone, but as I’ve done more research, I’ve become more and more intrigued by the granite, which looks spectacular. Especially Bergstation and Nederthai. I love limestone, but it turns out that my hardest ascents have all been on granite, so I seem to have an affiinity for it. I’m looking forward to trying world-class routes like 5 Sterne, Le Miracle, and Elements of Addiction. If you’re a fan of the Rock Climber’s Training Manual, or a fan of our website, we would love to meet you out at the crag! If you’re not into Instagram, just e-mail me at: rockclimberstrainingmanual_at_gmail_dot_com. I’ll let you know our plans, or we can arrange to meet at a crag. During our trip, we also intend to make shorter visits to the Italian Dolomites. 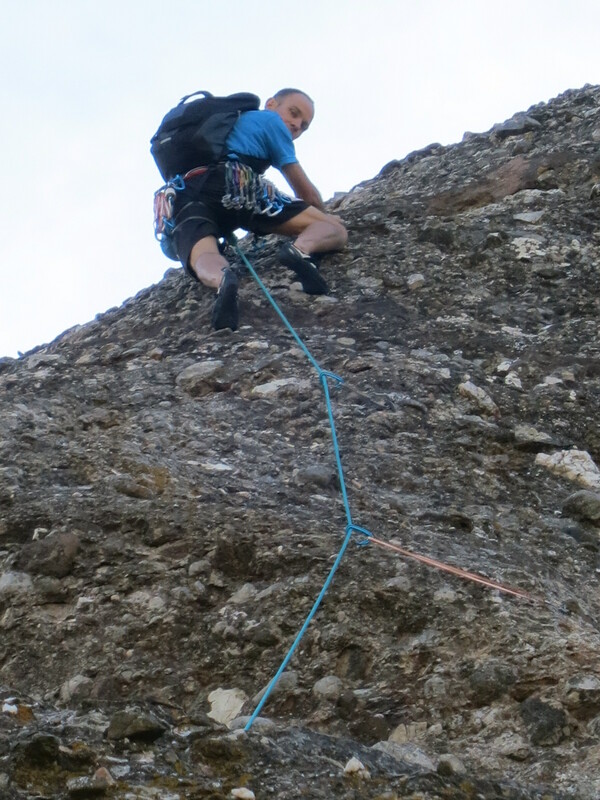 We hope to do some longer alpine routes as a family, and try some via ferrata. We’ll probably check out some Italian sport climbing as well. 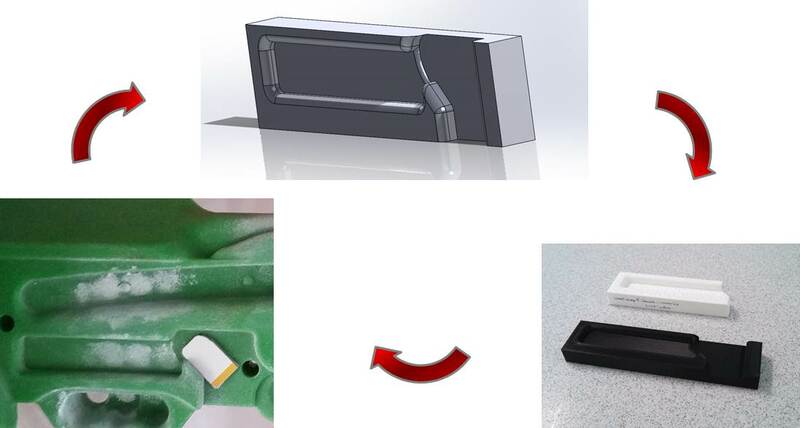 We will be in Austria until July 10th, then we’ll drive to the Netherlands to present our latest research on the Trango, Rock Prodigy Forge hangboard at “The Engineering of Sport 11”, the 11th congress of the International Sports Engineering Association. The Forge has been really well received by those that have tried it and contributed to our survey, and we look forward to sharing those results with the international sports engineering community! Wish us luck, and we hope to hear from you soon, or see you at the crags! 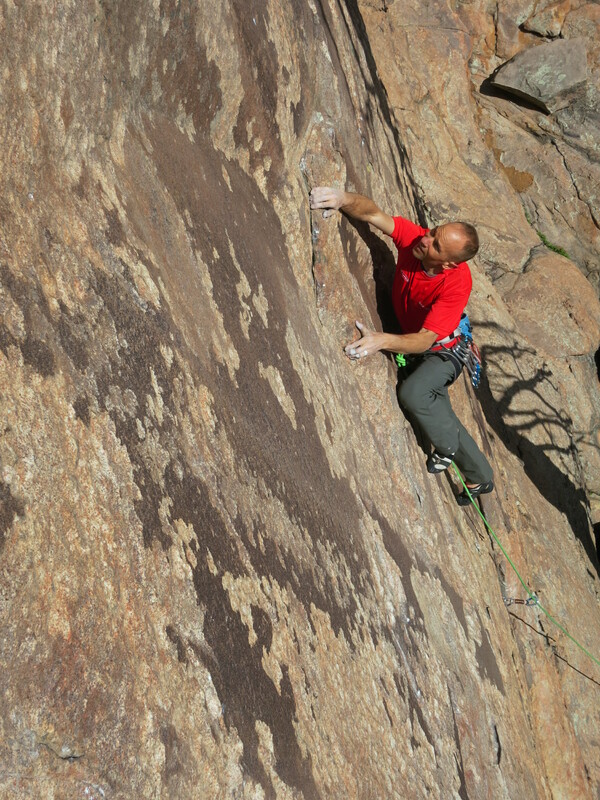 Mike Anderson working on Grand ‘Ol Opry, 5.14c, The Monastery, CO. One of the few dry crags in Colorado this spring. This has been a crazy spring/summer for most of us in the Intermountain West. It was winter, then it got a little warmer, then BAM! Blizzard after Blizzard struck, and in between blizzards would be ludicrous heat waves. It has not been a spring for sending at most crags. Even now, many crags are running with water from runoff. Check out this beauty! My right ankle a couple days after spraining it badly in a bouldering fall. 🙁 Is my season over? This scenario can also apply to other situations besides injuries such as fitting in a trip midway through a season, or otherwise being pulled away from training for unexpected reasons. Total Recall, 5.13b at The Pit, AZ. I managed an on-sight of this rig waaaay back in March, mid-way through my hangboard training. Then all hell broke loose 🙂 Half-way through spring break, I flew home for a day of work (and to do my 5th HB workout). Then the first of many freak storms hit us. I wasn’t able to fly back to complete spring break, so I did another 5 HB workouts from March 26th – Apr 9th (fitting in an outdoor day at Shelf Road to compensate for the lost day over spring break). Aside: If it makes sense, I don’t mind fitting in a couple outdoor days amidst hangboard training. Mark and I tend to differ on this, where he is more consistent about only hangboard training during this phase. 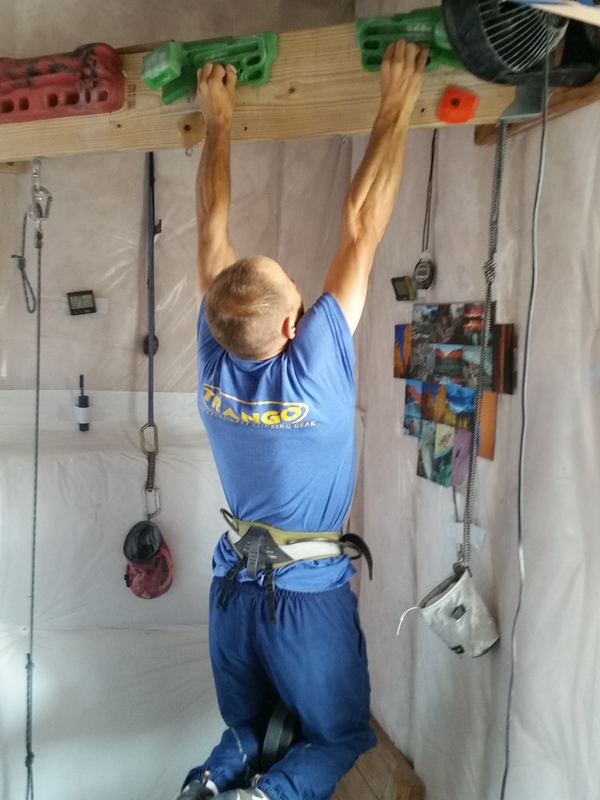 If I’m going to do it, I try not to go more than 5-6 days without a hangboard workout. On your outdoor days, try to do hard, fingery climbing. Things were going well at this point, and I entered my power phase with a few sessions of bouldering at the gym. I was feeling really strong, and really enjoying the chance to boulder at the gym, which I usually don’t like because the setting isn’t fingery enough (too may huge/unrealistic dynos, slopers and pinches). I did a campus/limit bouldering workout on April 17th, then on the 19th, everything changed in a blink of an eye! I was limit bouldering at the gym, came flying off an awkward topout move that put me in a position such that I couldn’t brace for the fall and I landed directly on my right ankle, rolling it to the inside and tearing my Anterior Telo-Fibular tendon (along with other damage, I’m sure). Now what…10 days into my power phase, hoping to peak in the next couple weeks? The prognosis from the doctor (and based on previous experience) was about 6 weeks. I hoped to be back to climbing even sooner than that. I had limited options. 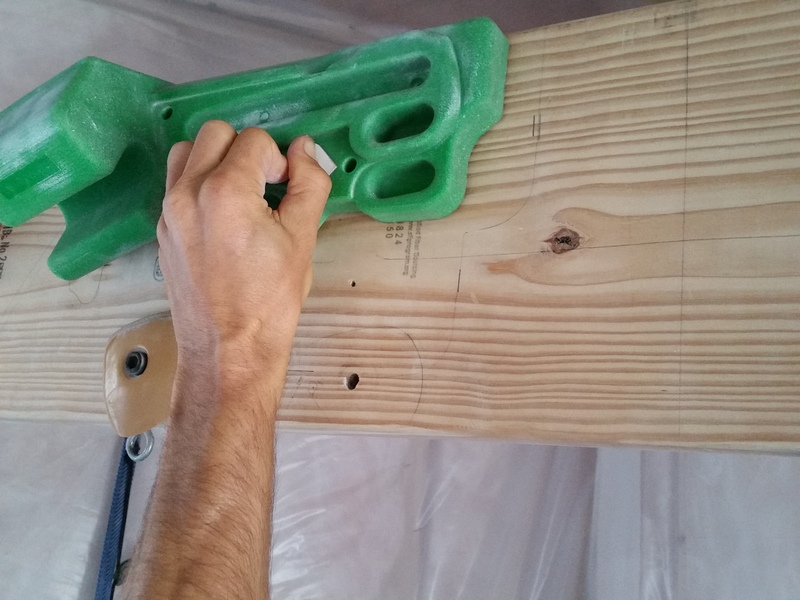 Obviously bouldering would be out for several weeks, if not the entire season, so hangboarding made sense. I wouldn’t be able to get into “send mode” when I wanted, so I re-adjusted my expectations for my peak, and the crags I would climb at. I went back to the hangboard in the hopes of extending my season long enough for my ankle to recover for sport climbing. Sport climbing would be far less risky than bouldering on a bum ankle. We also had a 3 week trip to Europe in the works, starting on June 21st, so I would set my goals towards that trip, rather than the spring climbing at the aforementioned crags. I also immediately called my friend & colleague, Dr. Jared Vagy (aka “The Climbing Doctor”), a doctor of physical therapy, and he gave me a personalized plan to follow for rehab that has worked miraculously! The train-wreck of a hangboard phase that my season turned into. 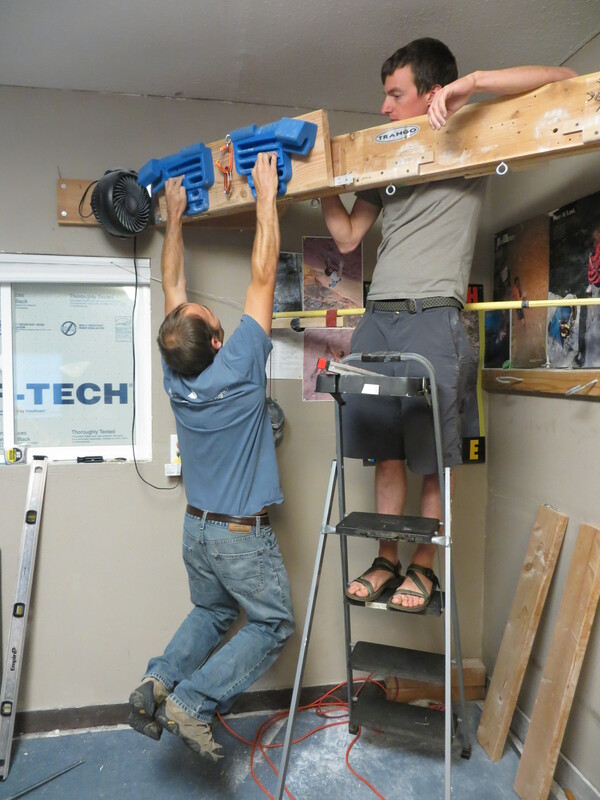 These are examples of Hangboard Maintenance training sessions. 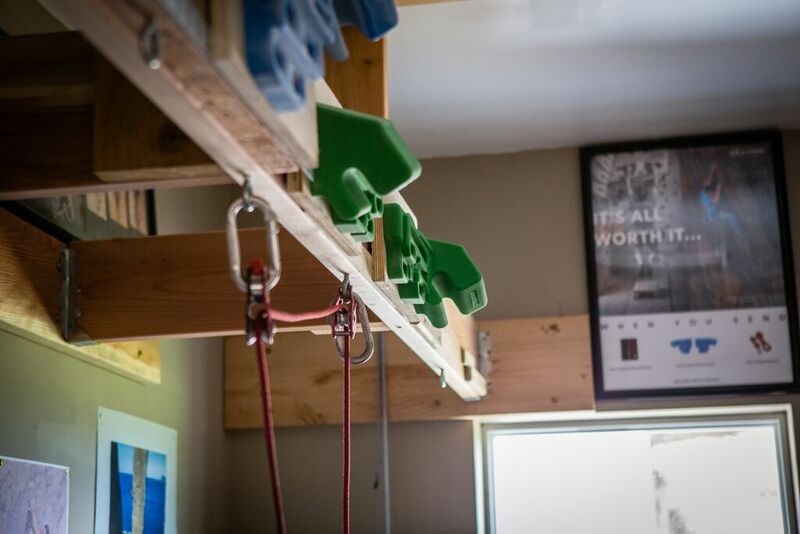 That same night of the injury, I finished off my workout by running through my 8 grips on the hangboard stations at CityROCK climbing gym, then I settled back into hangboard training. From April 24th – May 4th, I did 4 more hangboard workouts, for a total of 15 in the season (way more than I normally do ~8-10). I also did three HB maintenance workouts, one before the injury, on April 17th, and two after, May 11th and May 26th – more on this topic in the second edition of the RCTM! 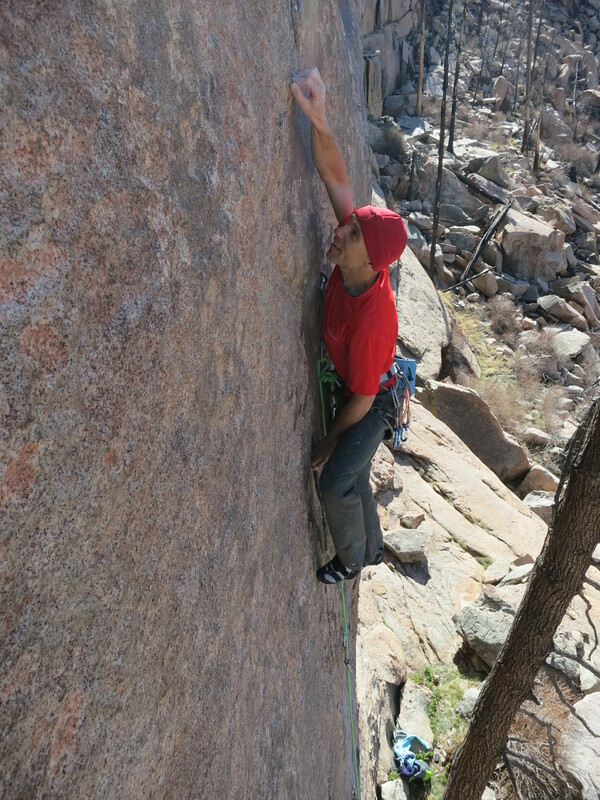 Starting on May 7th, I was able to do some sport climbing (my ankle was strong enough), and I aimed for fingery/bouldery routes because this was replacing what would normally be campusing and limit bouldering. We went to Shelf Road, and I climbed well…making repeats of the Example, among others. 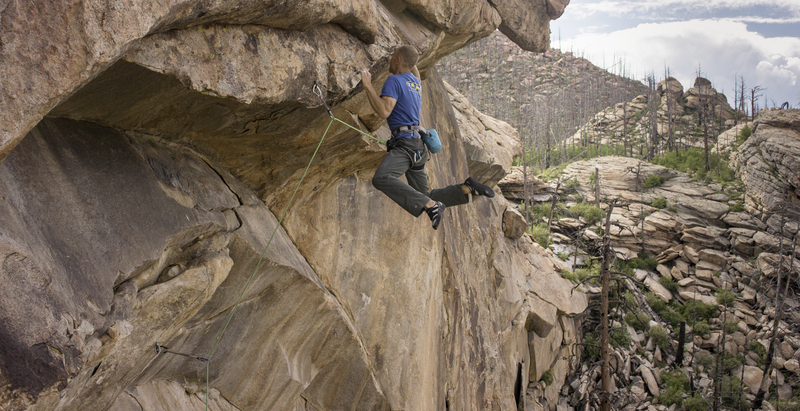 Colin Lantz putting up The Example (5.13a-b) at Shelf Road, back in the day!!! By May 11th, I felt confident enough in my ankle to do some “easy” campusing (moves that I knew I could control so that I wouldn’t take unexpected falls). I coupled this with a hangboard maintenance workout. For the next couple weeks, I mixed in roped bouldering (climbing on hard routes at the gym or crag) with these campus/hangboard workouts. By the middle of May, I was itching to try something hard. Janelle and I went up to the Monastery, outside of Estes Park, CO on May 14th…and one of those freak storms hit. This time it was heavy rain, and the crag was socked in with wet, humid clouds. For this reason, the ankle injury turned out to be a blessing in disguise. For most of April and early May, the state was getting clobbered with non-sendable weather, and I was content to toil away on my hangboard…I did feel bad for everyone else, though. 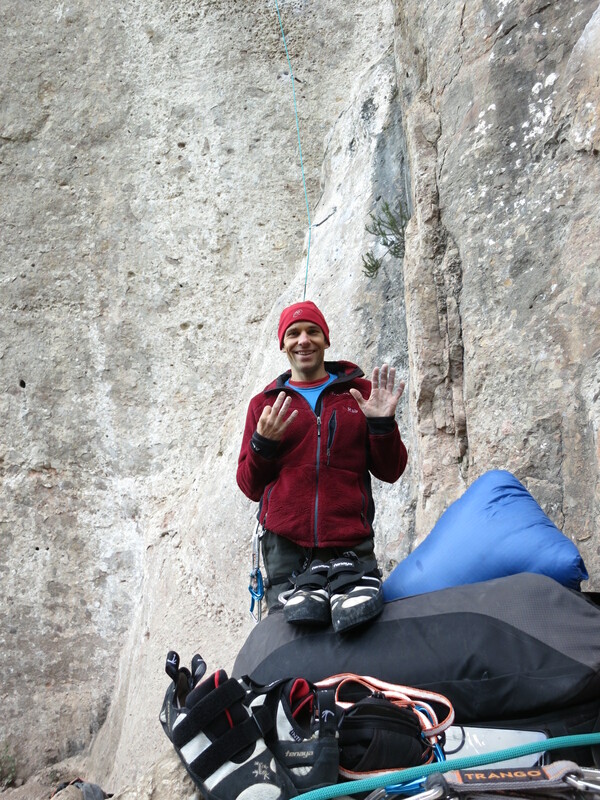 The next weekend, May 20th, I returned, gunning to try Grand ‘Ol Opry, Tommy Caldwell’s testpiece route, and a climb I had been dreaming of doing for at least ten years. 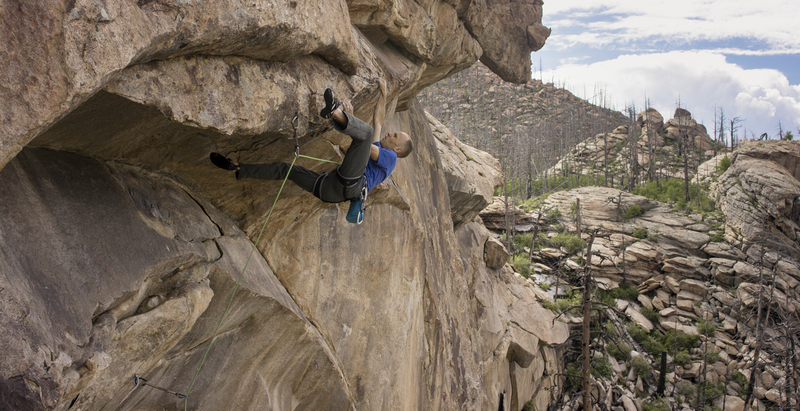 It has been referred to by several people as the best sport route in America, and recently made Climbing Magazine’s top 100 list. I would have liked to start this project back in April to ensure ample days of good, cold, crisp conditions. At this point, I was happy to have any dry rock to climb on and two reasonably strong ankles to do the climbing. That said, this late in the season, the pressure was on to get the send done as fast as possible. I was halfway expecting that this spring effort would mostly serve as a recon for a later campaign next fall. I took inspiration from my discussions with Mark that led to this post about not putting your project on a pedestal. I had done one other 5.14c (Mission Impossible), and I wanted to treat this route as if 5.14c is “no big deal” (despite it being quite a big deal in my mind…when I started climbing, the grade hadn’t been invented yet!!!) What that means is this: It’s OK if I don’t have perfect conditions, ideal “sending temps”, and it’s OK if I don’t have unlimited time to work and send the proj. 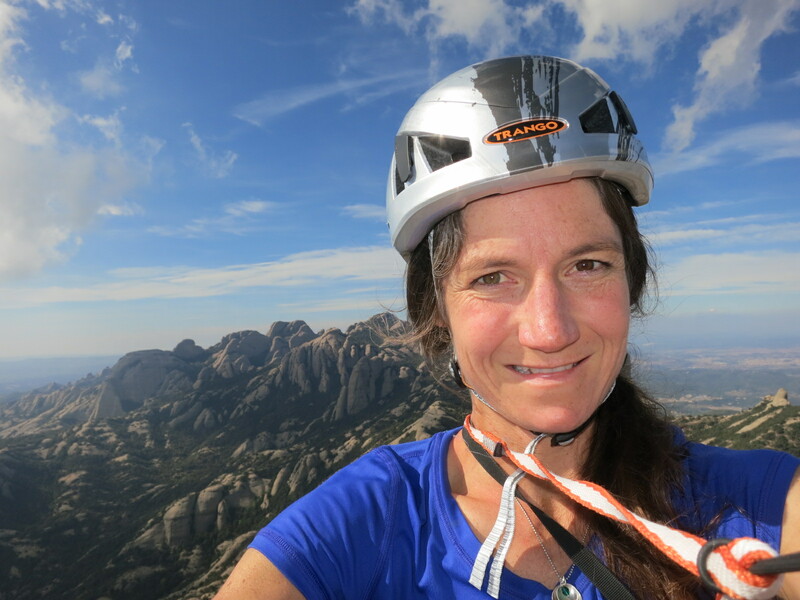 Because, if it’s “no big deal”, I EXPECT that the route will not be at my limit and I will be able to climb the route pretty rapidly, in less than perfect conditions. Well that was my desired mindset…time would tell if I could pull it off. 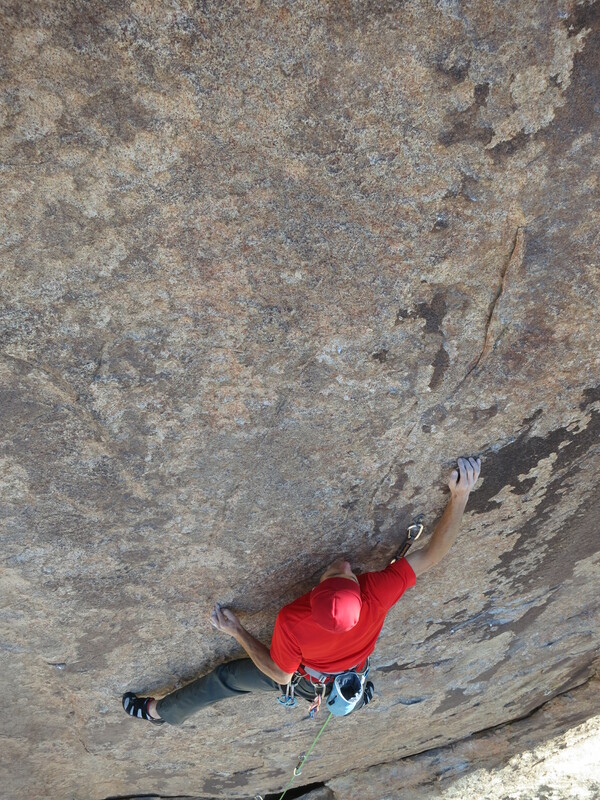 Mike working out some moves around “The Africa Plate” — the redpoint crux of Grand ‘Ol Opry. 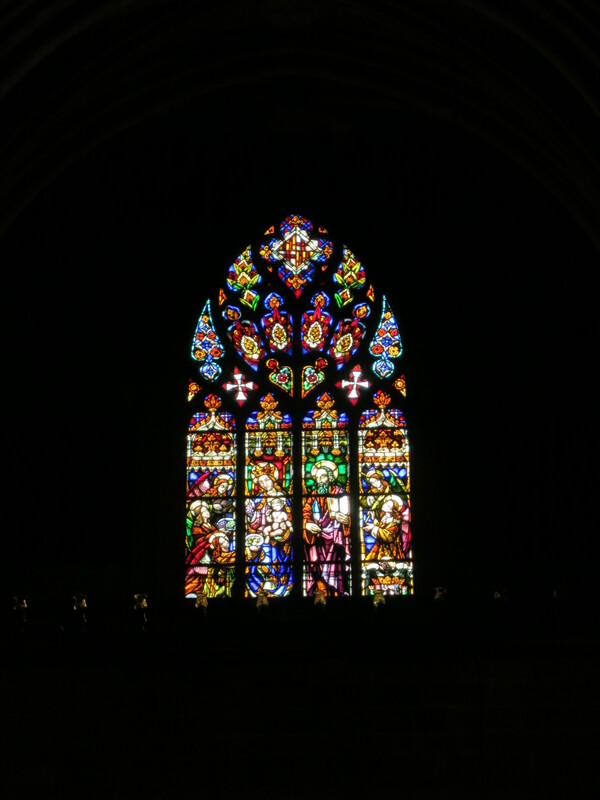 On May 20th, I got on the route, and was able to work out reasonable beta. I vowed to figure this route out for myself — no watching online videos, or bribing Mark with chocolate chip cookies to get his videos. Part of the process is learning the beta, and part of treating this as NBD (no big deal) was resolving to be self-sufficient. The next couple weeks were fairly stable weather, and I struck while the rock was cool. We would stay the night at my lovely in-laws’ house in Longmont, wake around 5:30am and get to the crag around 7:30am. Temps up there would be in the upper 40s and lower 50s until about 11am, giving me time for 2 long burns per day. I got in three good days of working burns climbing every other day, then went back to train on the 26th. This workout was a mix of bouldering and hangboard maintenance…trying to keep my power and finger strength up to snuff. It’s important during the peak phase to keep up occasional training. The sweet siren song of the project will try to lure you out of shape. We all know that climbing or projecting is not the same as training (it’s necessary, but different), so it’s very helpful to sprinkle in a training day every week to ten days. I studied the weather forecast, lined up partners, and negotiated for time off from work. The following Wednesday looked promising, with cool temps, but the possibility of rain. It had been raining like crazy up and down the Front Range. The route is steep enough that the climb doesn’t get wet directly, but the rain makes the air humid, and the glacier-polished granite that makes up Grand ‘Ol Opry are unusable when it’s humid. My good friend Shaun went out with me on Wednesday. It had rained a ton the night before and conditions were iffy. We made the arduous 40-minute hike to the crag and I did two warmup burns on Psychatomic, a nice 12d that Janelle recently sent (nice work babe!) My Hygrometer was measuring 48 degrees and 70% humidity. The rock felt like soggy fettuccini pasta…it was awful. I had a partner, a day off work, and I was at the route, ready to send, but I made the disappointing decision to bail. If I tried to stubbornly persevere in these conditions I risked thrashing my skin and destroying my confidence. We decided to reset and try again the next day. That night it didn’t rain, the dawn was dry and crisp. It was a little warmer, but much dryer. The meter registered about 56 degrees and 30% humidity…much more like sending temps. My first burn was awesome, I stuck the dyno at the end of the redpoint crux…then my left foot popped off a terrible glacier polished smear. Still, it was a new highpoint, and I felt great. I called it a “warm-up burn”, and would try again shortly. 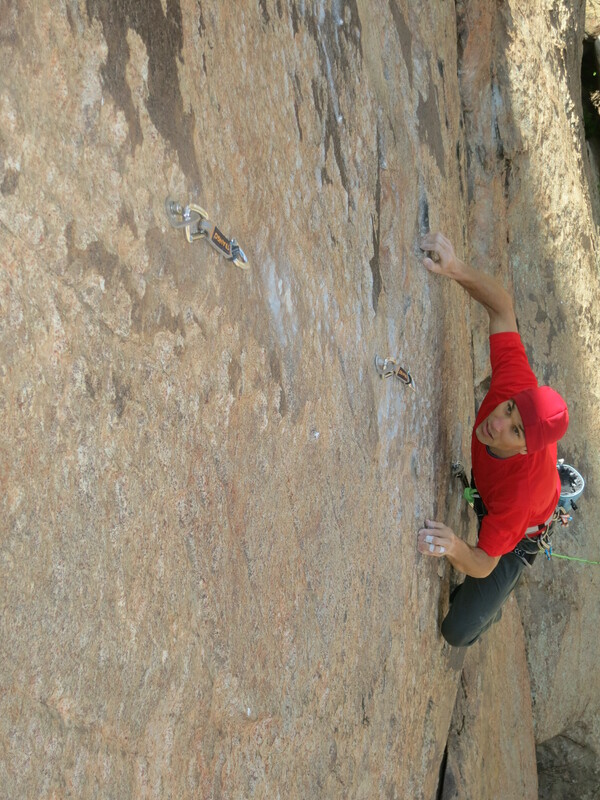 In the mean time, I belayed Shaun as he got his first send of Psychatomic as well. The second go was a disaster. I flummoxed beta on the extremely tenous, insecure opening moves, and I could tell I was stressed. I bobbled my way up to the rest before the redpoint crux and shook for over 5 minutes. I was able to get it back, and I felt pretty good. 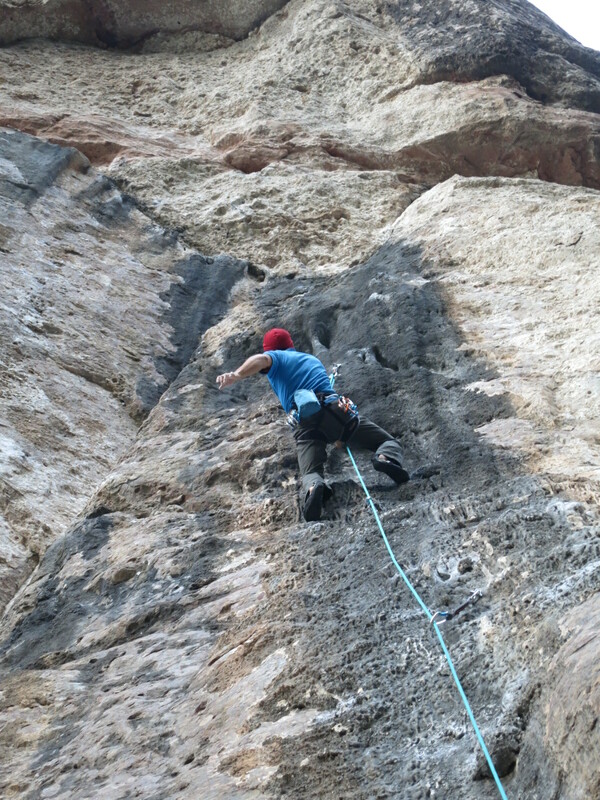 I was able to overcome my previous bumbling and climbed really well through the redpoint crux. 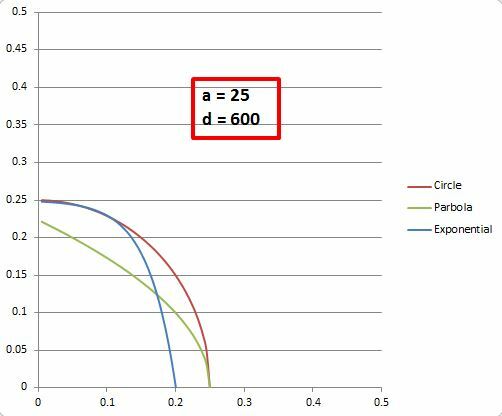 So well, that when I got to the final dyno, I felt I could do it a little more statically than normal. Big mistake! I narrowly missed latching the hold, and took another 30-foot fall. This was demoralizing. I had been certain I would send on this day, and now it wouldn’t happen. By now it was getting warm, nearing 60 degrees, but the humidity was lower. I did resolve to do one more go, just so I could work the top in preparation for next weekend, but I knew I wouldn’t send. I never send 3rd go. I was very fatigued at this point in the day, but I climbed the opening four bolts flawlessly, such that I arrived at the rest feeling not-too-taxed. I was able to recover really well at the rest. This is typical for me…as I work a hard, pumpy route, I’m initially unable to recover well at rests, but as I work the route, usually a week or two into it, I start to gain the ability to recover. This is a consequence of both the endurance training, and familiarity with the route. The lesson is, early on in your project, you need to “believe” that you will get recovery by the time you’re ready to send. “Breathe Mike…you gotta want it…try hard!” It was the perfect advice. Making the long right hand cross move to setup under the Africa Plate. I sailed through the first technical moves…a gaston, a slippery pinch, another gaston, undercling, gaston. A long right hand cross through to an edge, then match and grab a pair of underclings — hugging “Africa”. Powerfully pop my feet up…get a little shake for the left hand, then set up with two underclings for the final throw. Go for it big…don’t half-@$$ it. Stuck! REMAIN CALM…work the beta, move your feet…believe in the beta. I was perched over the Africa plate, but too pumped to let go and clip. I had rehearsed this many times, but you can never rehearse the pump or excitement from nearing the send. 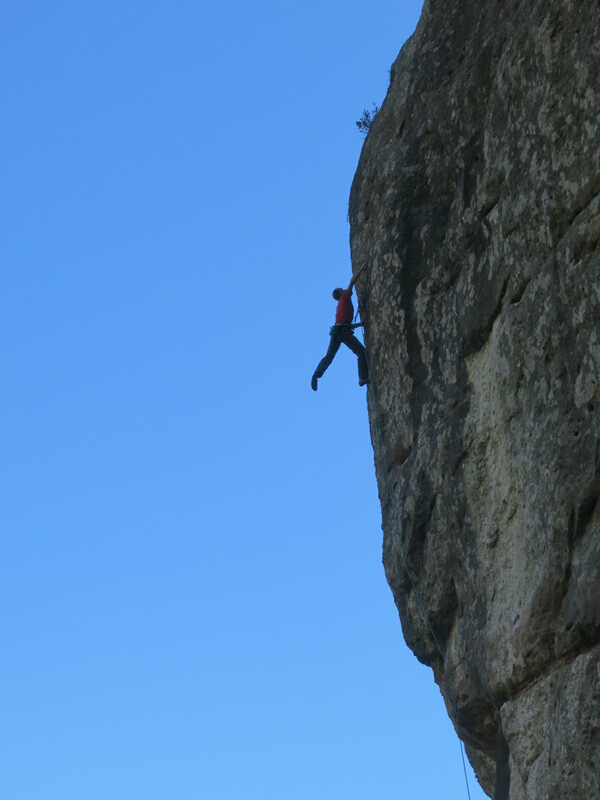 I shook for awhile on three OK holds at the top of Africa, but with terrible feet and I stared down the draw, mentally rehearsing how I would clip…took two short breaths, and clipped as fast as I could…snap…stuck it! Back to the holds, then moved up to a good shake. The last two bolts are still hard…probably 5.12, but with the beta wired, I flowed up it with an ARC’ing mindset: breath, relax, shake, you can climb this all day long. Setting up for the final redpoint crux dyno. Moments later, I clipped the chains! My second 5.14c in the bag. I had climbed it fast, just like I told myself I could. A total of 6 days working on it in a span of 14. I didn’t have perfect conditions, I wasn’t in perfect shape, I didn’t have two good ankles, and I didn’t send it first or second go…it was NBD! The accomplishment is special, and I’m proud of it, but the route is not special…not in that sense. It’s not too hard, too daunting, or too famous for me to climb. I can do it, and I did it. Get ready Austria…here I come! Celebrating the send at the Cherry Pie Capitol of Colorado…in Big Thompson Canyon on the way to the Monastery. I got a cherry pie! Heather cruising The Bowling Pin, in the Buttermilks. 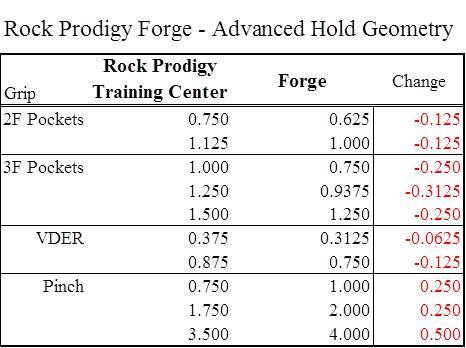 Take the “Rock Prodigy Forge User Experience” survey! Last winter we asked our loyal readers to provide feedback on the Rock Prodigy Training Method, and the Rock Prodigy Training Center. Your responses were overwhelming, and we really appreciate the feedback! 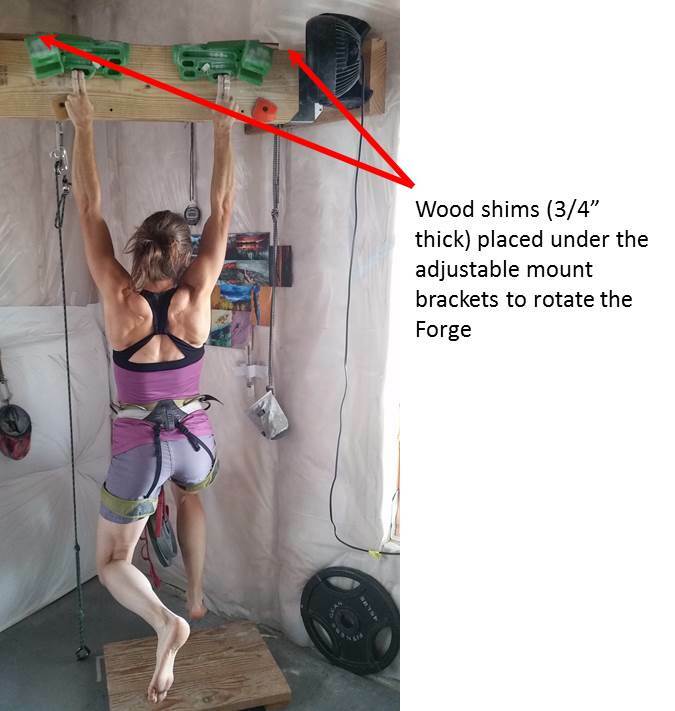 Some of the data from that survey was published in our research paper, “A novel tool and training methodology for improving finger strength in rock climbers”. Well, now I’m at it again. 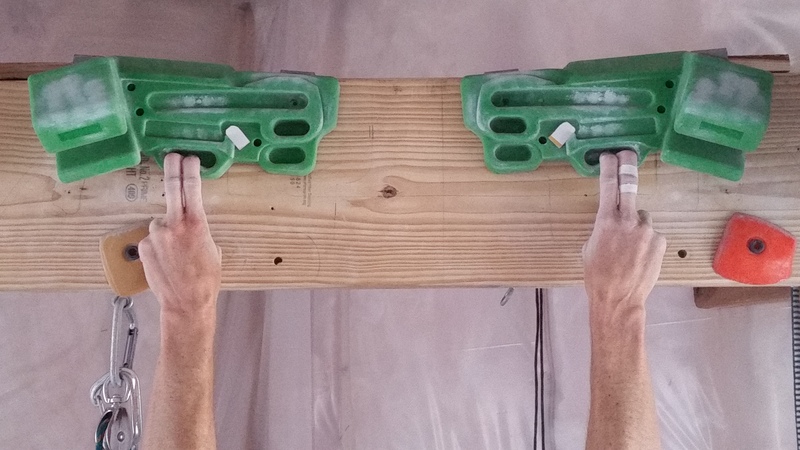 After incorporating your feedback, we launched the all-new Rock Prodigy Forge hangboard this past fall, and would like to get your feedback. If you’ve tried the Forge, please take a moment to complete our new survey. It’s much shorter than the last one (sorry about that 🙂 )…only 10 questions this time, and should take you 5 minutes or less. The survey will ask questions such as, how long you’ve been using the Forge, any improvements in your climbing performance since using it, and your overall assessment of its effectiveness. Before completing the survey, it may help to review this article that describes its new features. Once again, the data from the survey will be incorporated in a research paper to be published at the annual conference of the International Sports Engineering Association (ISEA 2016). 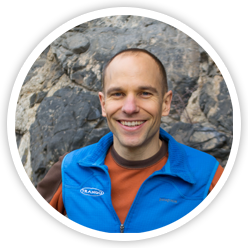 New this year…all survey respondents are eligible to enter a raffle for free shwag from Trango and autographed merchandise from Rock Prodigy Training! To enter the raffle, after you have completed the survey, enter “Raffle Entry” in the “Leave a Reply” comment box at the bottom of this page. WordPress will automatically send me an e-mail with your contact information. This will keep your survey responses anonymous. Thanks for your help!!! 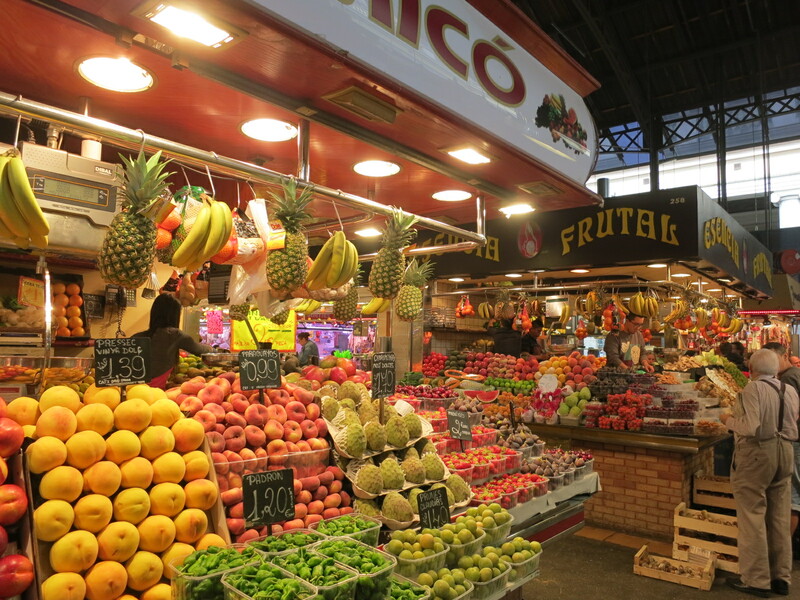 Barcelona! 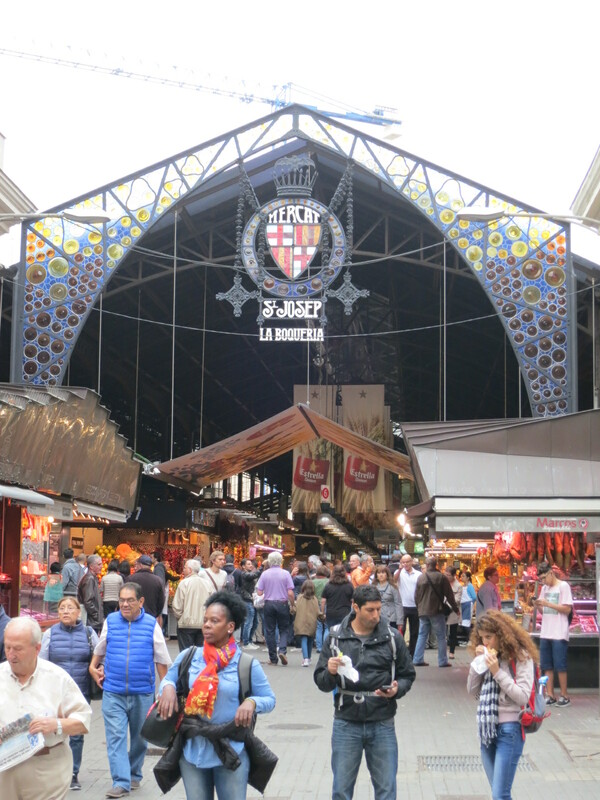 What an incredible city full of life, people, culture, food, history and so much more. It has to be one of my new favorite cities of all time and we just scratched the surface. 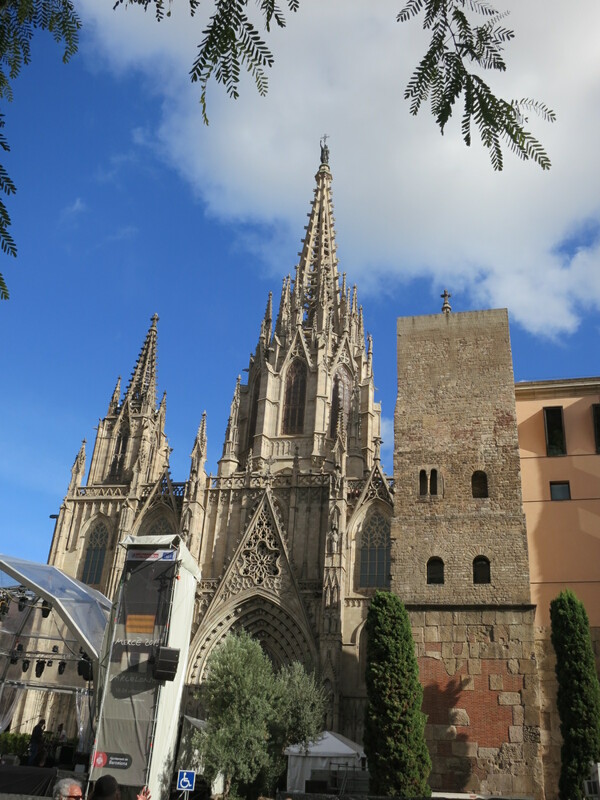 We will get into Barcelona highlights in a future post, right now I want to focus on climbing. 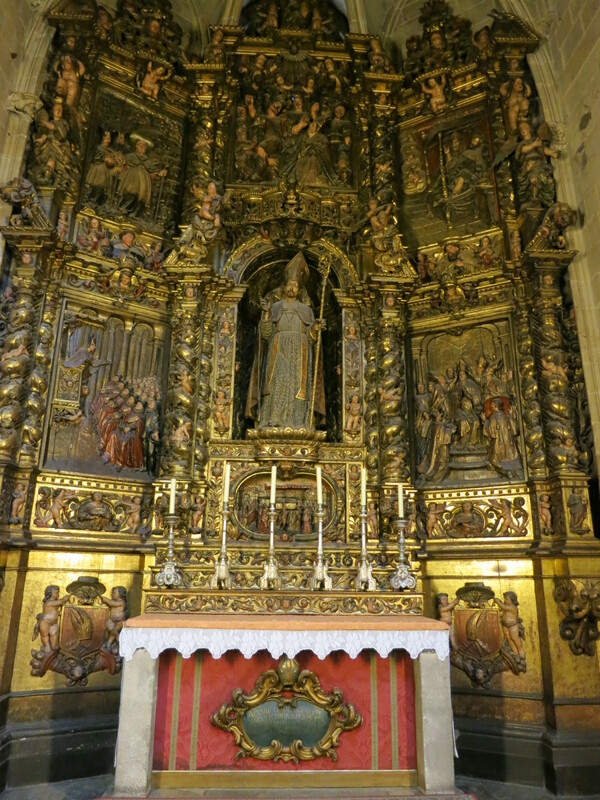 First, I want to tell you about a real gem, Montserrat. From a distance, Montserrat looks like a multi-peaked jagged saw tooth mountain, which lends to its intricate rocky maze. As you approach and drive up the windy road, you can see that hundreds of rounded, cobblestone towers, domes and cliffs create this beauty of a climbing destination. 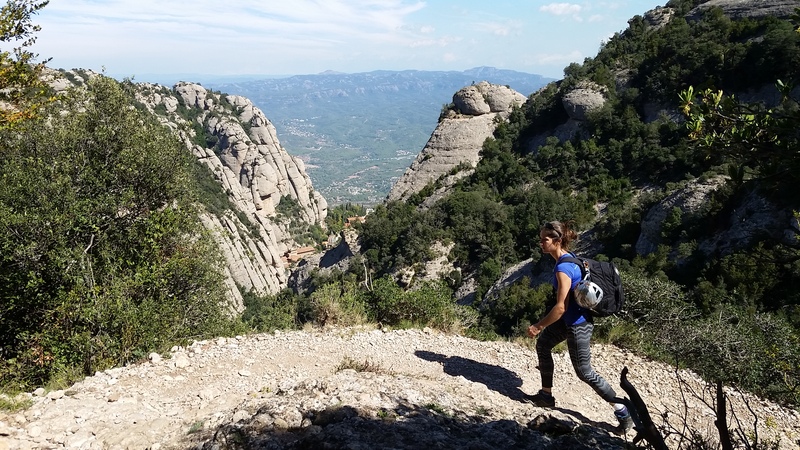 Besides the climbing, Montserrat is also a very popular tourist stop and once you reach the parking lot at the end of the road, you’re ripped from your dream-like state of amazement. The touristy stuff is pretty obnoxious and it seems to go on for a mile full of cars, huge buses, people and souvenir stands. Don’t let this deter you. Press on past the tourist stops, and you will be rewarded just as we were! We were aiming for the sunny tower in the middle of this photo. 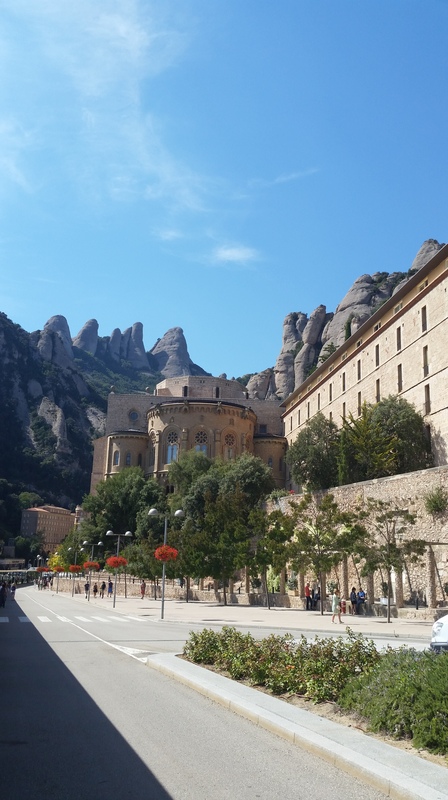 The reason for the tourists; nestled on the hillside about 1000 feet up from the base but beneath the towers is an old Benedictine Abbey, Santa Maria de Montserrat. 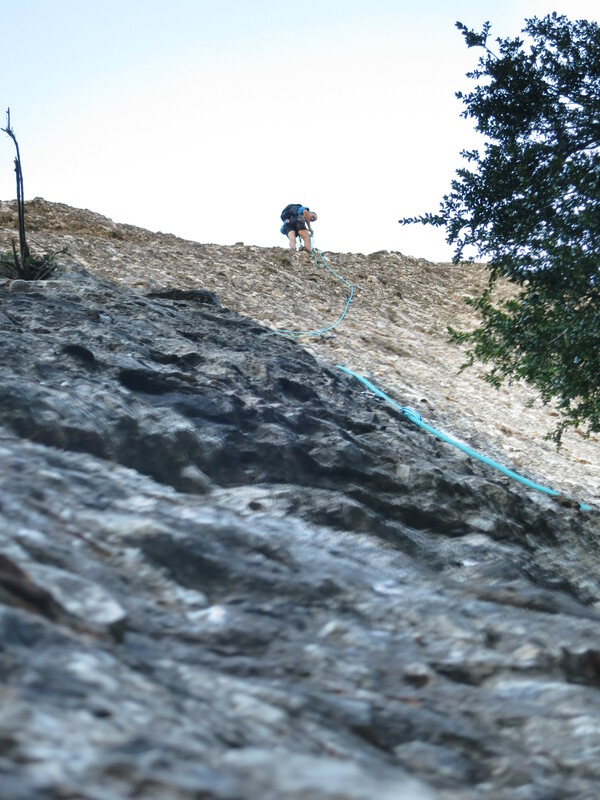 Our goal, however, was to sample some of the moderate multi-pitch climbing that it is world-renowned for. We only had a few hours of day light so we had to move quickly, hiking up the narrow valley past the abbey. The hike to the base of the route was literally one stair case after another winding up between these towers. It was absolutely beautiful and provided wonderful views of the surrounding area. We were aiming for one of the more prominent summits, Gorro Frigi, and the Stromberg route seemed like a good choice. At the base of the route, we quickly geared up while admiring the colorful cobbles we were about to climb. The rock was gorgeous, and we were eager to test out these cobbles. Mike took the lead while I took out the camera. Trango was representing in Spain! Mike starting the second pitch. 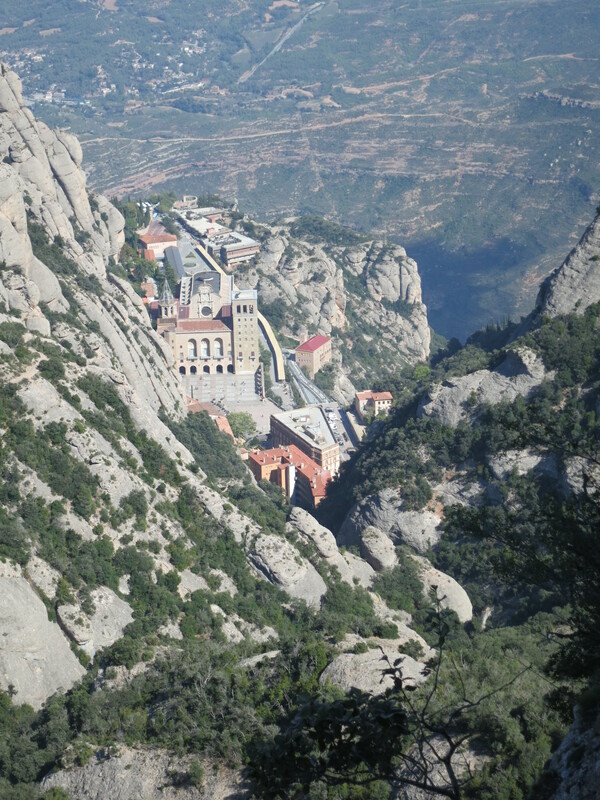 The Monastery is in view nestled in the rocky canyon below. Janelle taking in the summit views. 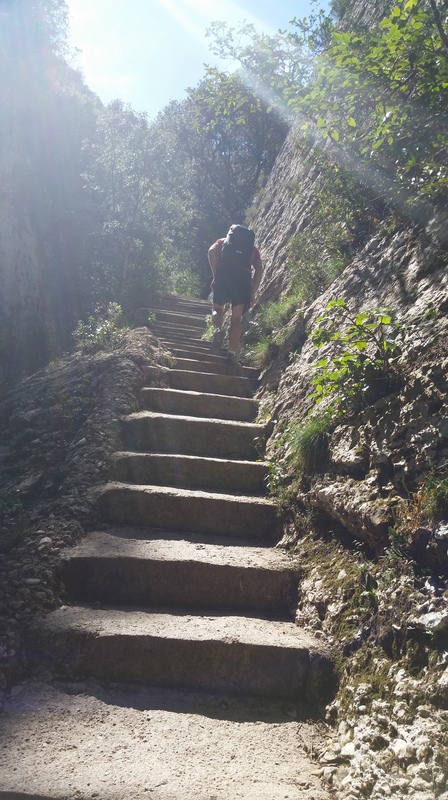 The climb was very casual, super fun and the views were tremendous. 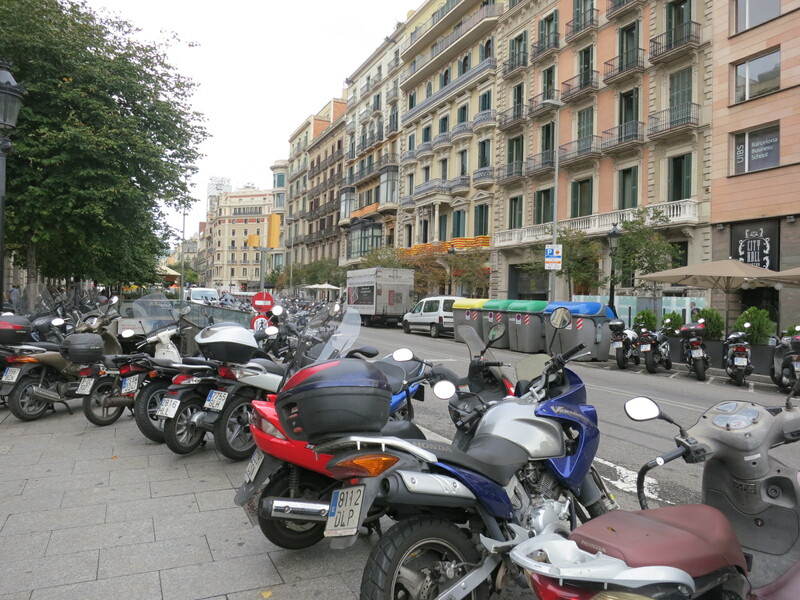 I loved the Catalonian conglomerate cobbles and definitely want to go back! Doing a mutli-pitch climb as a couple is very rare these days, and not something we do with kids in tow (well, not yet anyways). 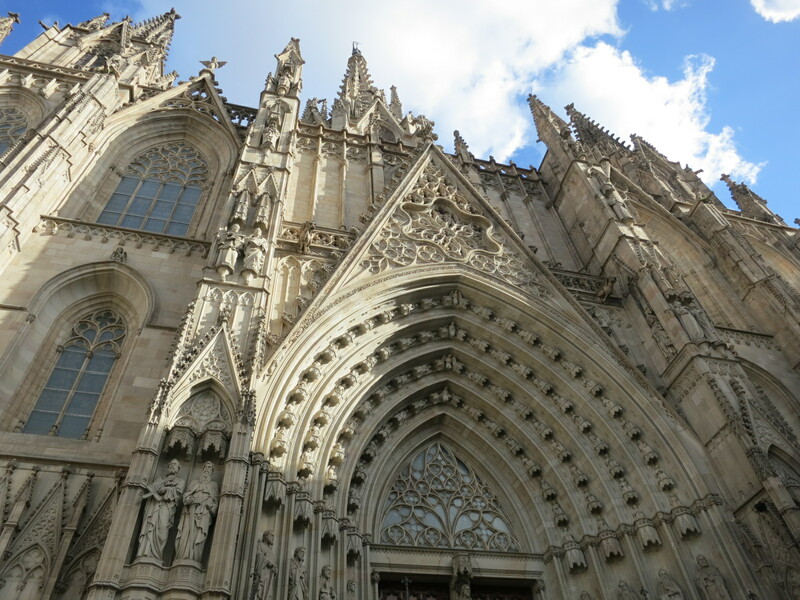 We finished before dark and headed straight into Barcelona during rush hour. This was a completely fun and terrifying experience on it’s own. However, with Mike’s defensive, confident driving and maneuvering, we made it to the hotel in one piece. 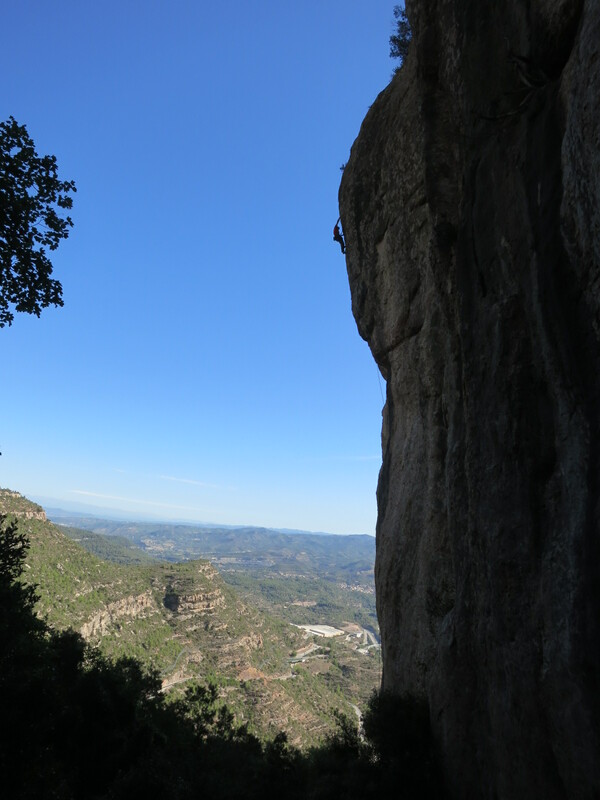 It was time to head to the Sports Engineering conference in Barcelona, but I don’t want to waste any time getting to the most exciting climbing day of our entire trip! 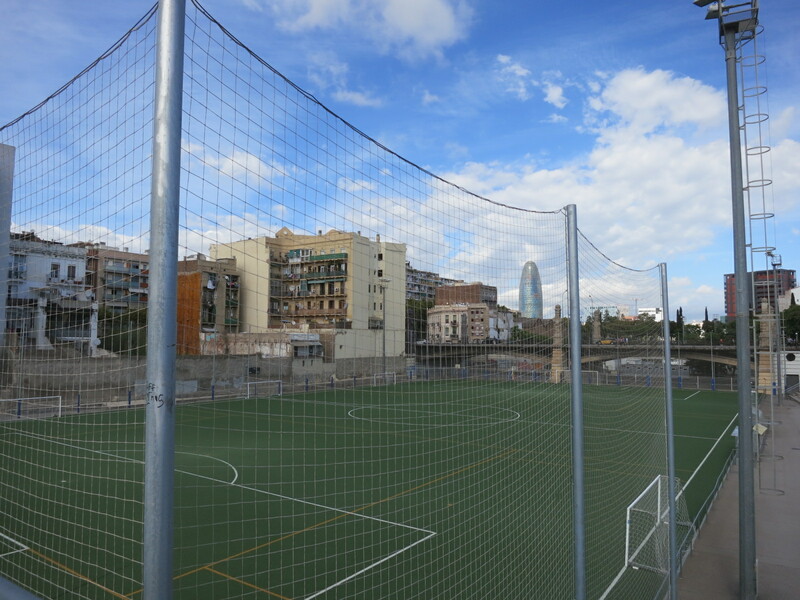 Therefore, we’ll describe Barcelona and the conference in more detail in our next post. 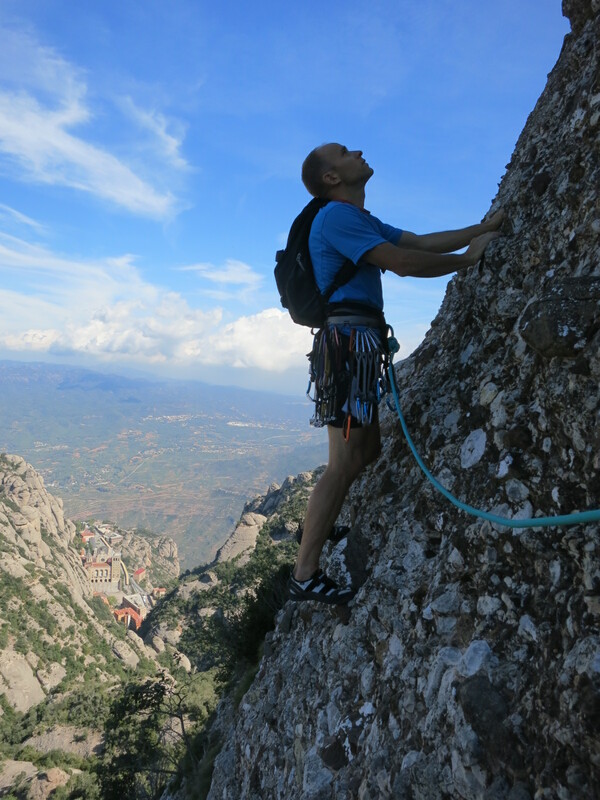 Instead, here’s the exciting conclusion to our Montserrat climbing…. 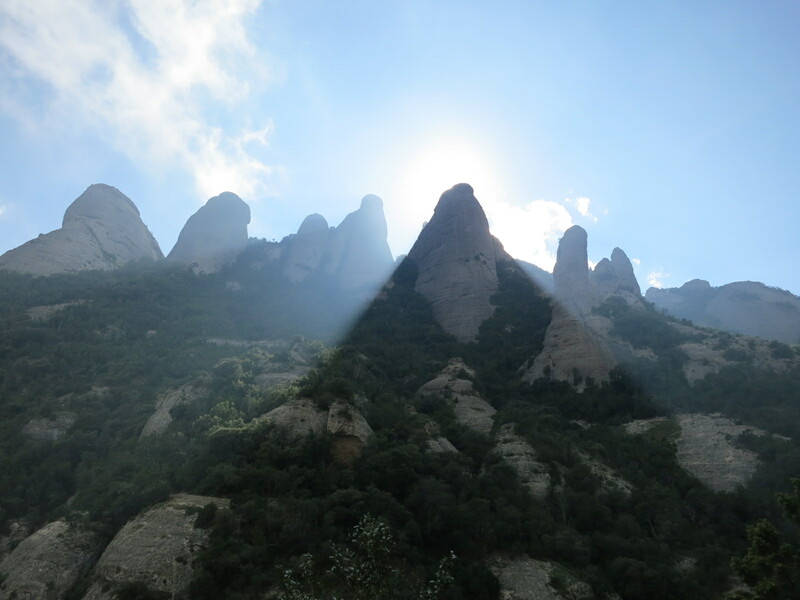 After our first taste of Montserrat, we knew we would need to go back during this trip. The relatively easy one hour drive was perfect for an early morning out on the rock. 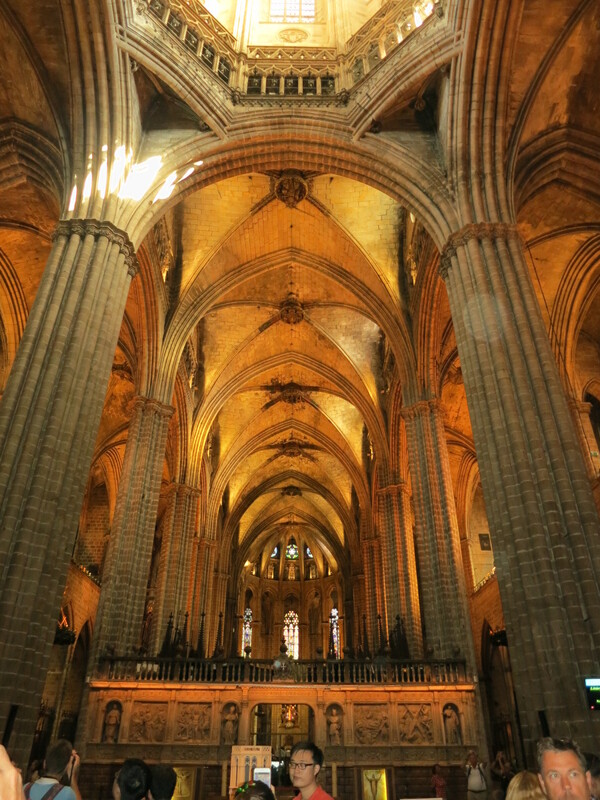 We left Barcelona before dawn one morning and were rewarded with an incredible sunrise on tall towers above us. Mike had a spring in his step while I hobbled along on my bum ankle. I could tell he was psyched! Today was going to be a great day!! I want you to hear it straight from Mike…this not only was a great day, it was one for the Anderson history books!! Here’s Mike to tell about his incredible experience, and reaching a goal he has had for years and years! I came to sector Guilleumes at the recommendation of Jonathan Siegrist aka JStar. 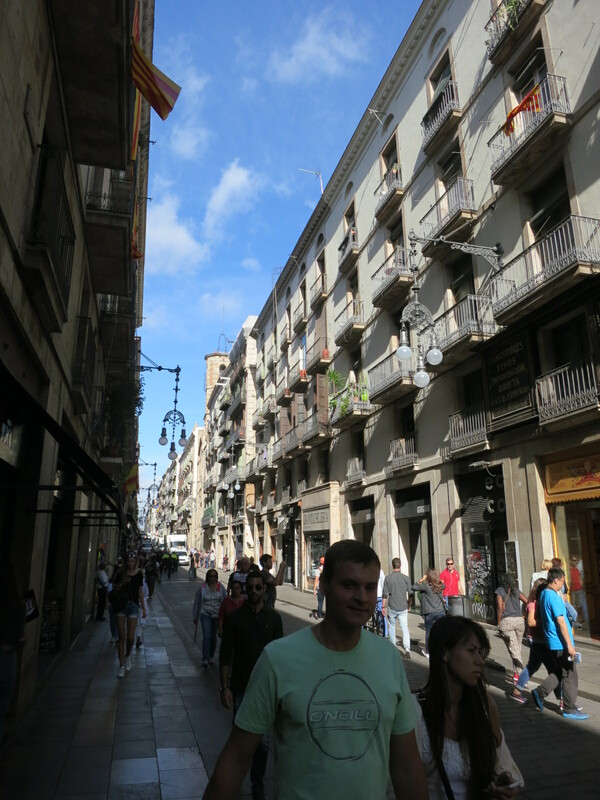 It wasn’t covered in our guidebook, so we got some sketchy beta at a local shop in Barcelona and hoped we’d be able to find it. 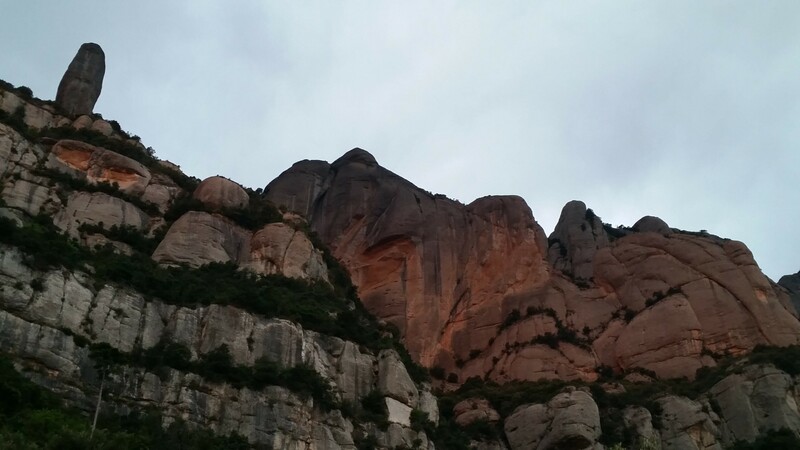 On the way to the crag, I had a wave of psych come over me as I watched alpine glow on the cliffs above and just thought about how awesome it was to be here in Spain. More morning light making the cliffs glow. 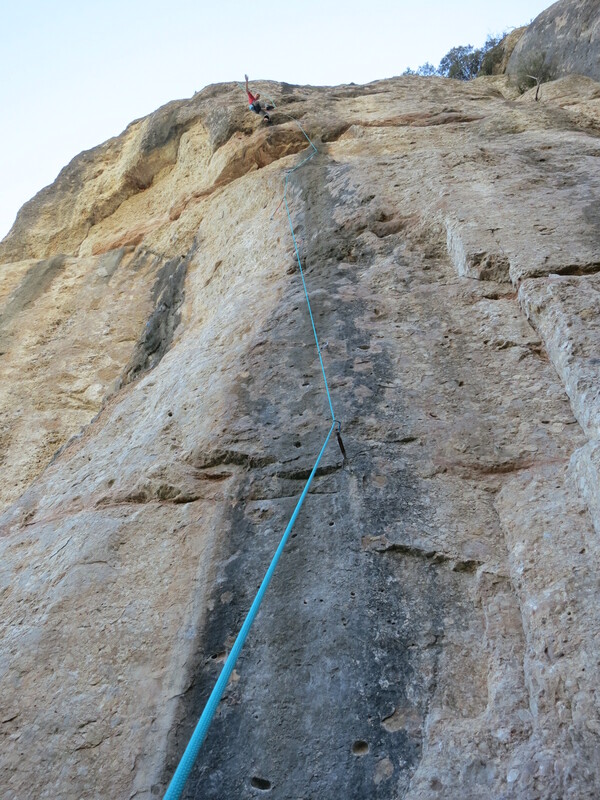 Check out that cool thumb rock too…the Caval Bernat. There’s a long multi-pitch climb on that tower we wanted to do, but the hike was too much for Janelle’s hurt ankle. Next time! When I reached the cliff, I was instantly impressed because it reminded me of my favorite home crag, Smith Rock, but with slightly steeper walls full of pockets and edges. It was extremely inspiring. I did a warm-up (Catximba – “Bong”, 11c) and got on what I thought was another 12a (Diedru – “pipe”). After a little climbing, it was clearly a little more than I bargained for. I realized I was on an 8a (Bolita Moruna), not a 12a (7a+) so I decided I would save it for an onsight. I kept going until the climb got a little too hard then I climbed down. La Catximba (“bong”), 6c+ (11c – though the polish made it feel WAY harder 🙂 ). A nice warmup, covered with cool flowstone. 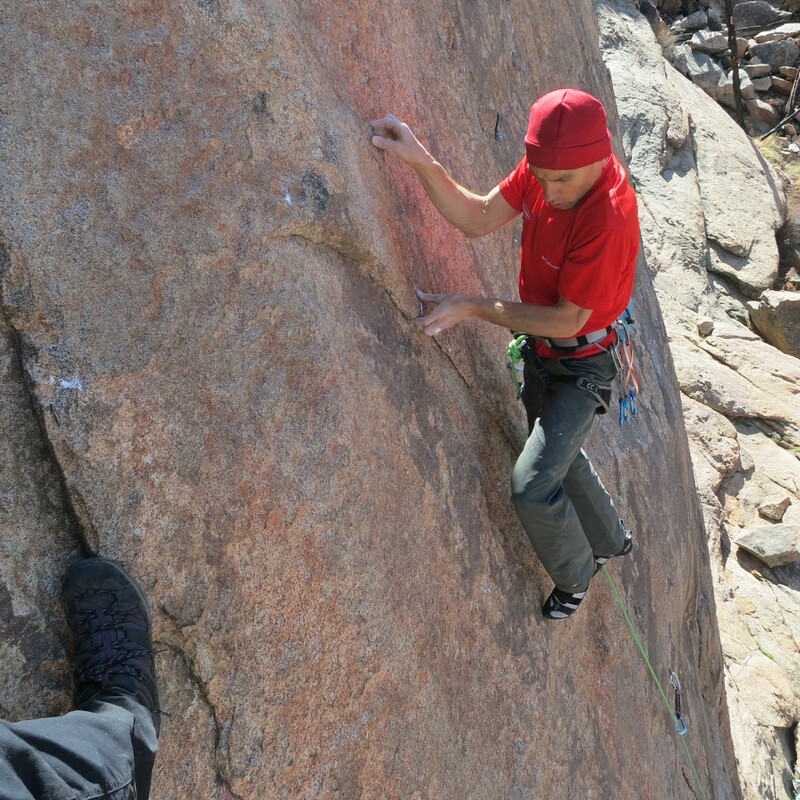 After belaying Janelle, I got on the 8a (Bolita Moruna) again, gunning for the on-sight. 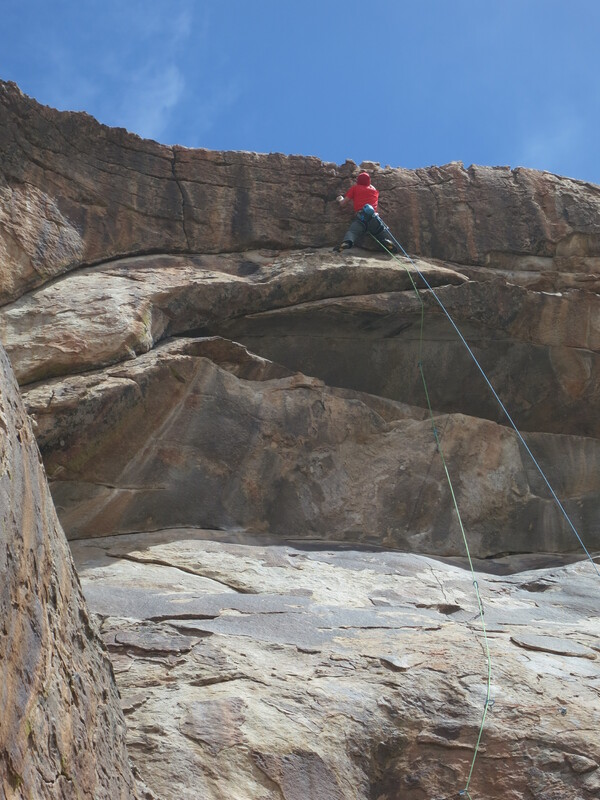 I felt very smooth and strong, the climbing came naturally to me as I cruised from pocket to pocket. I had trained for this a long time. I reached the crux section, shook out and thought about the moves. I figured out a sequence and went for it. I had to trust some pretty polished feet but I did it and stuck the moves. From there, it was just managing the pump through some small but positive pockets. A short tufa took me to the chains and I was very psyched to get another 8a onsight! At the chains of Bolita Moruna, 8a (13b) after nabbing my second 8a onsight of the trip! 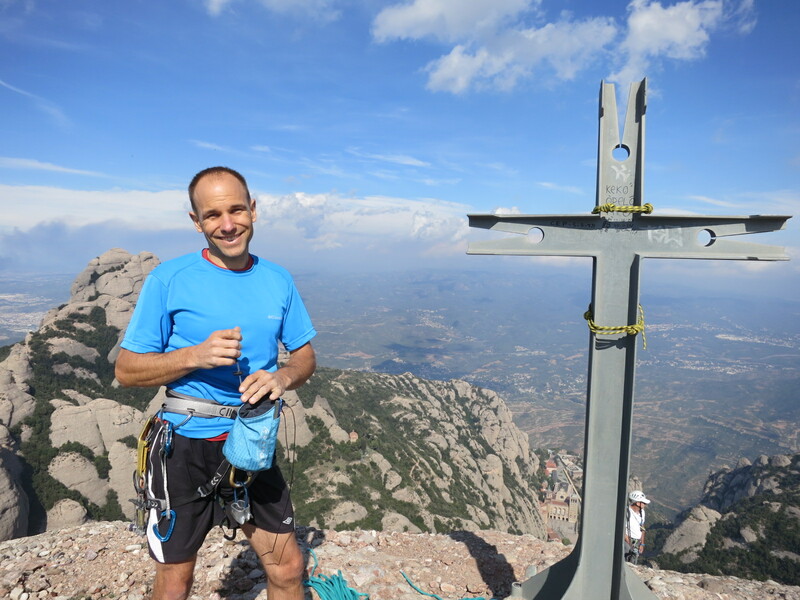 Mike celebrating his on-sight of a “Grade 8” route at Montserrat. Now, I had to decide go for another 8a or push myself and try for an 8a+ (one was located just to the right.) Though I have come close a couple times, I have never on-sighted an 8a+ (13c) before, and it has been a goal of mine for years. It was one of my goals for this trip, but there is always the risk that you blow it and wreck the remainder of your climbing day. I took a moment and decided that “I would only live once” and this was my opportunity, so I went for the 8a+. The route looked really cool, following a solitary gray streak from top to bottom with small pockets reminiscent of France. 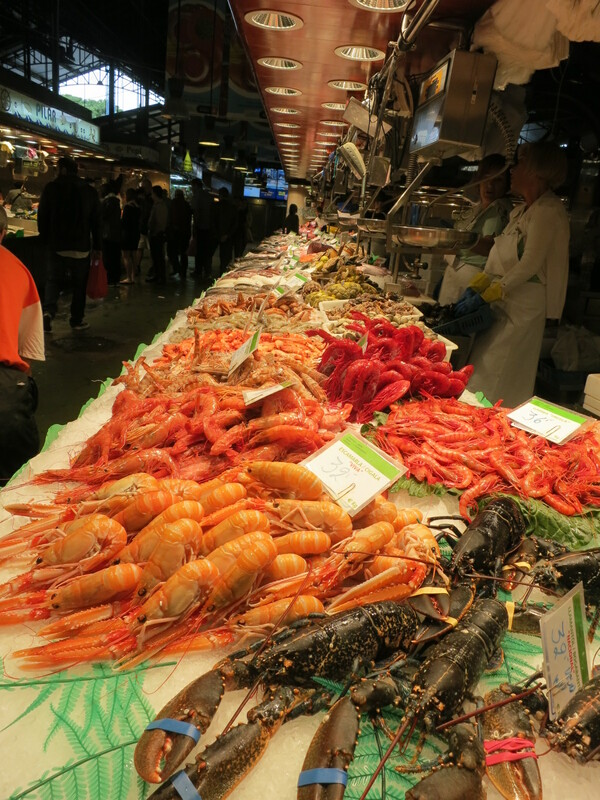 This was what we came to Europe for! 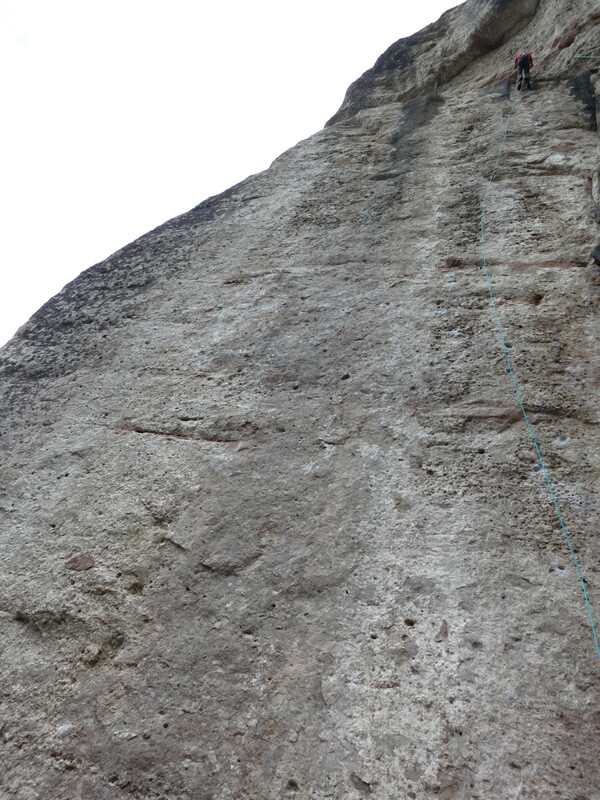 Rastafari, 8a+ (13c) follows the prominent gray streak up the center of the photo, then up over the roofs to the left. 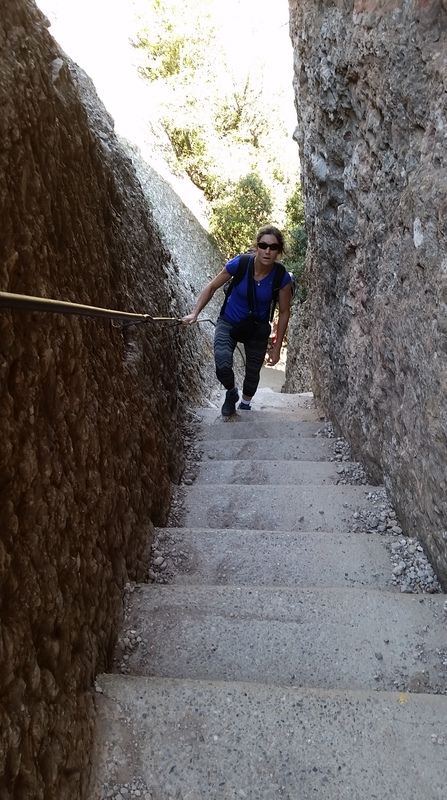 The route had no draws, and little chalk, so this would be the real deal…no crutches…I didn’t even have a guidebook description (not that Spanish guidebooks have descriptions anyway 🙂 ). What I would have given for a Smith Rock/Alan Watts-esque play-by-play run-down with accompanying crux-by-crux topo map? In retrospect, this was the perfect situation. No info, and no preconceptions! The pocket sequence at the start was much harder than I anticipated, and I had to really go for it on some small but positive pockets, making long reaches . I also thought I would be able to get many rests in the opening sections but I was wrong. I had to manage the pump, stay relaxed and pace myself. At the end of the long grey streak, I reached a roof at about the 2/3 height and was able to shake. To my horror, this is where the real business began! Over the roof I was instantly slapped in the face with hard moves. Long lockoffs to small pockets with bad feet and over-hanging. I had to do a hard mono move with my right hand to reach a good pocket. I stuck it though (yeah hangboard training! ), then I got a horizontal crack that I thought would be a great rest, but it turned out to be very slopey. I milked it as best I could for a long time. This climb was taking forever! (maybe an hour to send it?) I was starting to worry I would flame out, but I tried to remain calm and optimistic. I climbed above the poor ledge and was instantly in panic mode. The holds were too small and I could not see them because there was no chalk. I climbed into a sequence that I was certain I would not be able to do, and thought I would certainly fall . However, I was able to down climb enough to get a good heel/toe cam in the horizontal crack that allowed me to shake enough to recover. 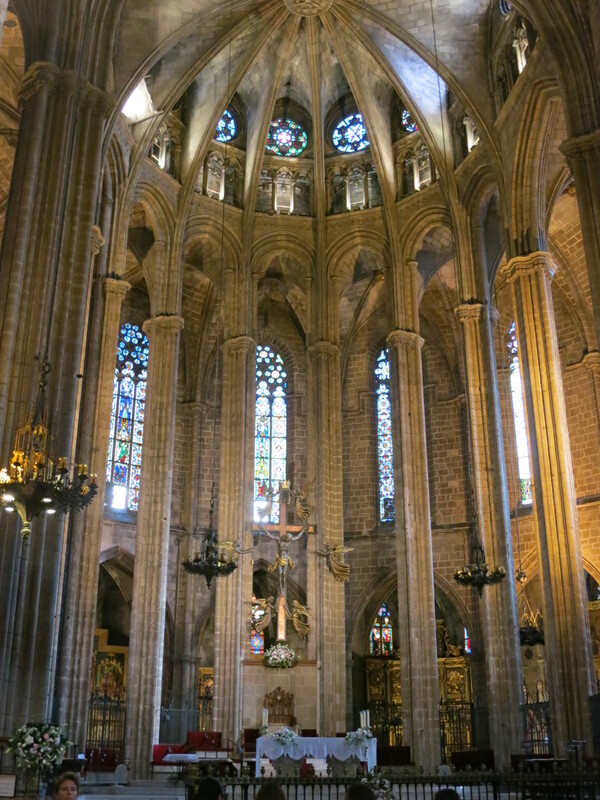 I had been here in Spain long enough that I was FINALLY able to recover at rests. I shook again for probably ANOTHER 10 minutes. I had enough back and had stared at the wall long enough that I had an idea of what to do. I pulled up on some good pockets with bad feet. Above me, but a long way away, was a tufa under cling. I reached far, as far as my tired little toes would let me, and I was able to grab it! I was thrilled! I pulled up my feet and locked into the under cling. I clipped, and was able to shake a little. I moved on, did a couple slopey crimps and slabby moves with decent feet. I was able to reach a sinker pocket…finally something GOOD to hang on to! The angle was rolling back now, so I knew I had it in the bag at this point, but I kept my wits about me. I climbed deliberately to the next bolt where the angle eased significantly. From there it was cruising to the chains. I let out a whoop, clipped the anchors and was totally stoked! My first 8a+ onsight while hanging the draws and with no chalk to boot! Whoot! He did it!!! He really did it! Two climbers from Spain showed up right after Mike topped out. We needed photos of this climb and luckily, they agreed to belay so I could take a few photos. Mike “re-enacting” the final moments of his on-sight of “Rastafari” 8a+ (13c). A new milestone for him. Another action shot of Mike “re-enacting” his on-sight of “Rastafari” 8a+ (13c). This day was one for the record books! 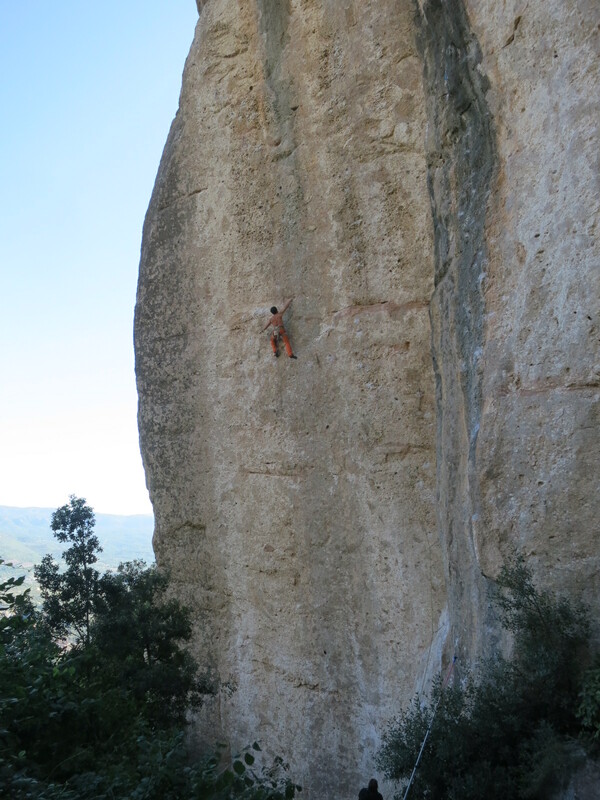 After Mike’s onsight of the 8a+, he went on to onsight another 8a, “Xilum” making the grand total 3 – 8a’s in one day!!!!!!! Probably his best sport climbing day yet. 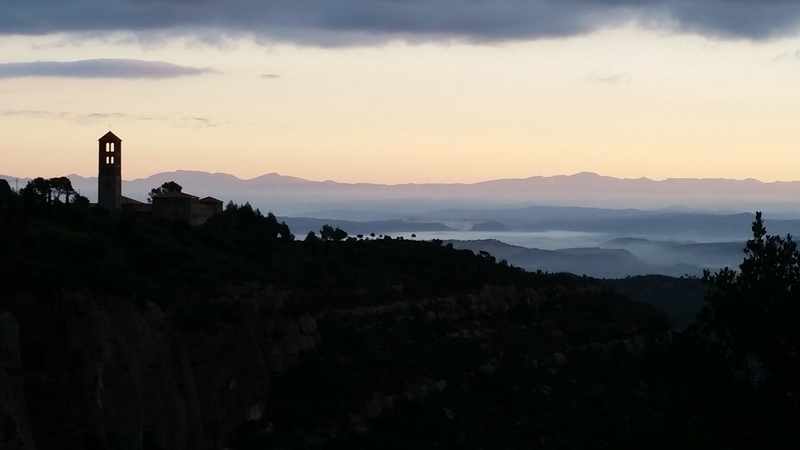 There was something in that Spanish air of Montserrat…maybe a little magic? It was very magical it was the years of dedication to training, focusing on his weaknesses and setting goals that sealed this deal! A local climber, Guilleme, trying “Xilum” 8a (13b). This is the third 8a Mike did that day. Doesn’t this remind you of Moonshine Dihedral at Smith Rock? 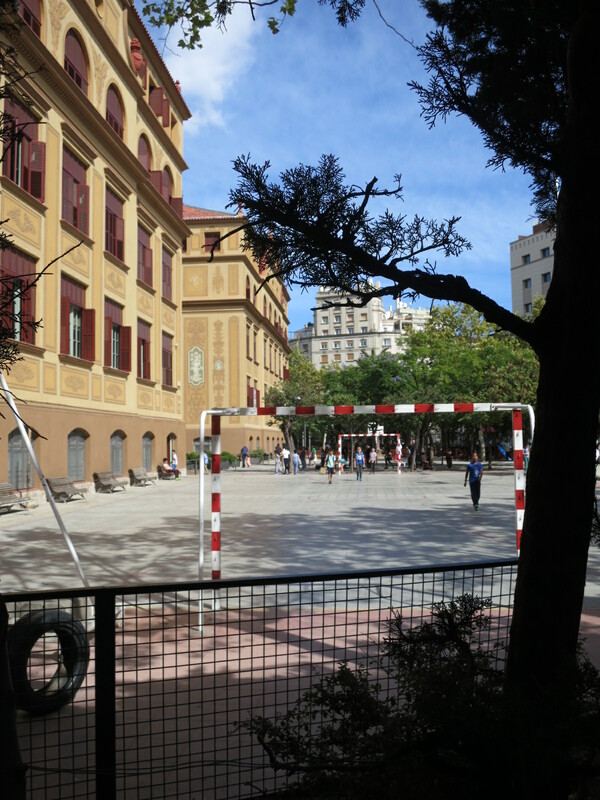 Coming soon…details of our travels in Barcelona, and the Sports Engineering Conference, complete with VIDEO of Mike’s presentation on hangboard training with the Rock Prodigy Method and RP Training Center. For now, enjoy these teaser photos…. Scooters and motorcycles dominate downtown and seem to be the preferred mode of transportation. Watch out pedestrians! 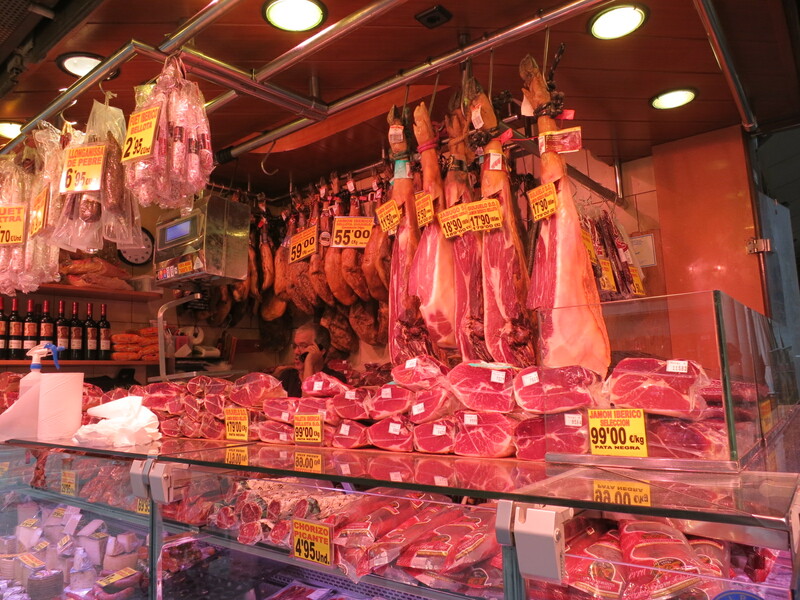 The not so “secret” secret Iberico jamon was EVERYWHERE! Thunder Strike – Part II — the exciting conclusion! 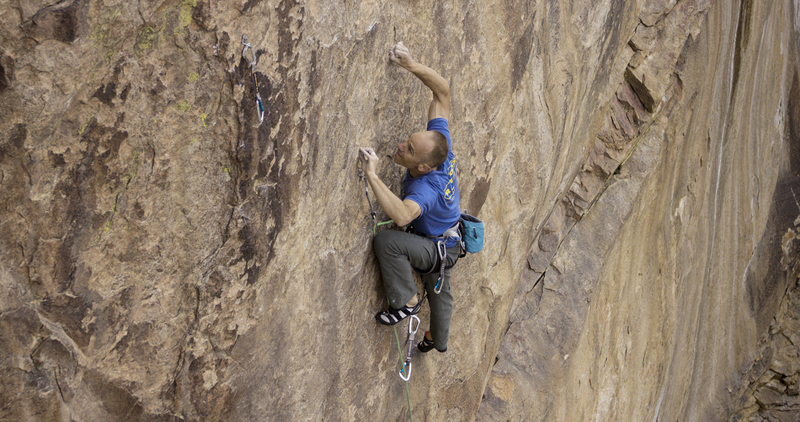 In an article a few weeks ago (Thunder Strike – Part I), I unveiled a couple new routes I established last spring at Thunder Ridge, Colorado’s premier granite crag (IMHO). As soon as I made the first redpoint of Game of Drones, I went directly to the next on the list; an unfinished route ominously listed in the guide as “Kevin’s Mega Project“. This was a commanding line taking a fairly direct path up the center of the tallest and most imposing face at Thunder Ridge. The spectacular Brown Wall at Thunder Ridge. This line was envisioned and mostly bolted by Kevin Stricker, a long time Colorado climber and route developer. 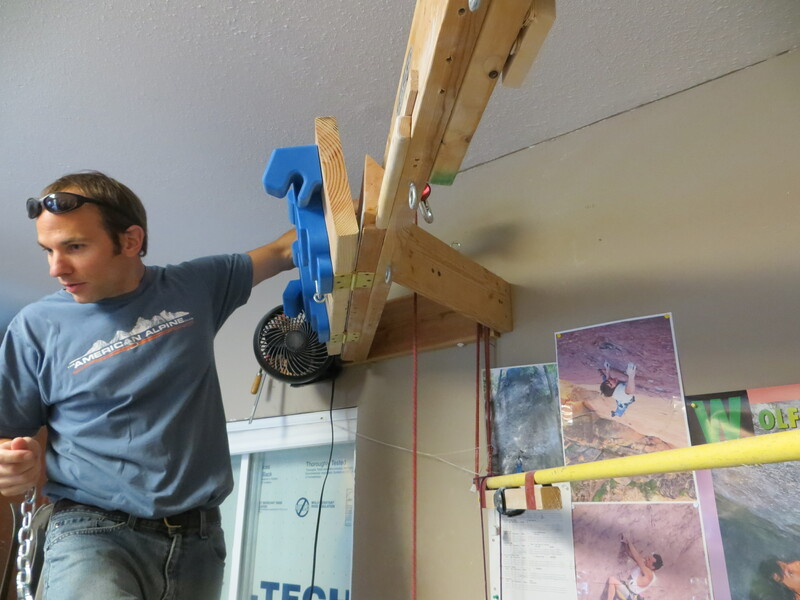 He had worked on the line from the ground up, putting in 8 bolts, but never completed the project before taking a long hiatus from hard climbing (though he had gotten really close on the lower crux sections). When I arrived on the scene, the route ended with a bolt in the start of the high roof, which looked intimidating. I led up the route with a selection of draws and cams, and trailed a line so I could haul up any bolting gear I might need. 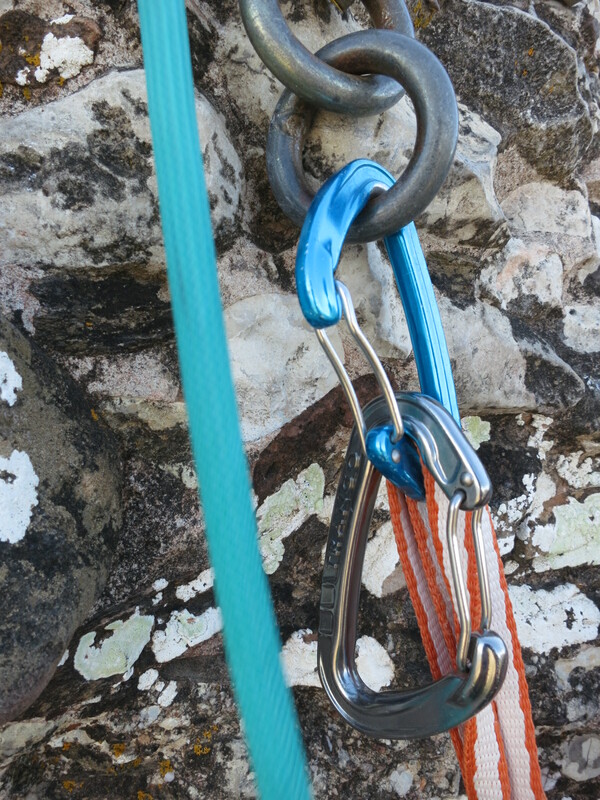 I quickly discovered the crux around the 2nd and 3rd bolts. 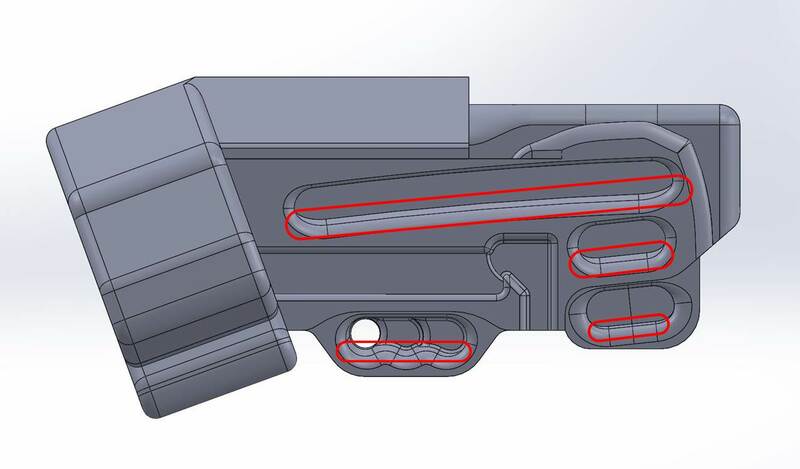 It would require very intense crimping on micro-edges with terrible feet…my specialty! 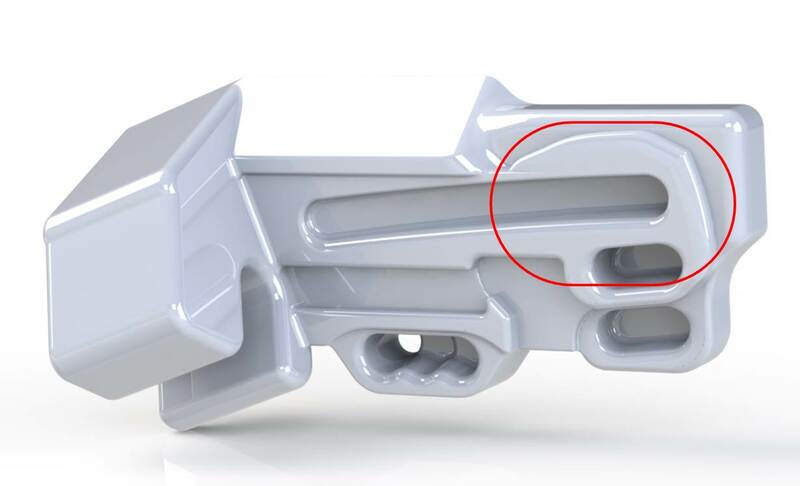 Taller climbers may be able to leave their feet on the big ledge below while reaching for a better crimp up high, but I would need to rely on my finger strength. Exploring the crux of the “Mega Project” on my first foray up the route. Note the left hand “Thumb Crimp”, which would be crucial beta, and wore a whole in my thumb. 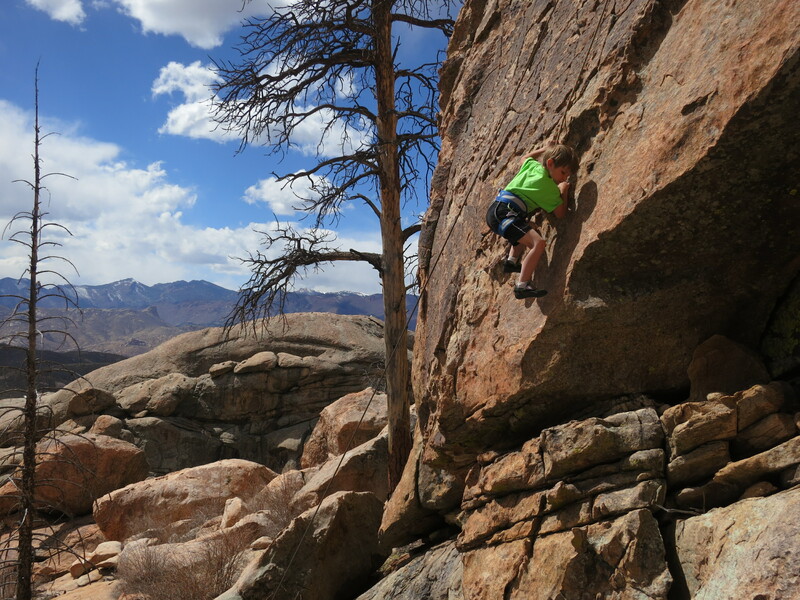 At the 3rd bolt, it’s possible to swing out left into an “open book” that provides a nice rest, then some 11+ climbing leads up to the slab, and eventually the roof. As I worked the route, I would later decide that the line could go more directly between the 3rd and 6th bolts, making the route more sustained and more aesthetic. On a later trip I re-routed the line, adding a bolt, and removing another, to straighten out the line. On this first trip, though, I just needed to reach the top of the wall. When the bolts ran out, I fired up my trad skills and went exploring! Climbing up over the “Mega Project” roof for the first time. The rope drag was heinous! Relieved at reaching the top of the wall. The features are incredible! Janelle Anderson cruising “Chocolate Thunder (12a)”. Axel working his “proj”, a super-fun 5.5 slab. Axel bouldering with some USAFA cadets below the Brown Wall. My first full day working on the route wasn’t until about a week after I finished bolting it. 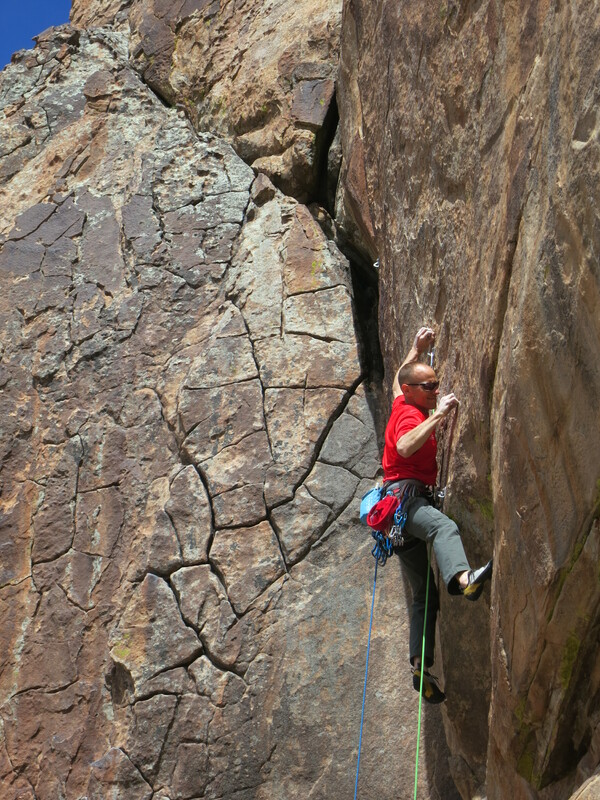 For my entire first burn I was still unable to do the crux move…getting to that good crimper at the 2nd bolt. I could envision the move, and touch the hold, but couldn’t stick it yet. I was frustrated because the holds were really tearing up my skin, but I took solace in the fact that it was still very early in my power phase. 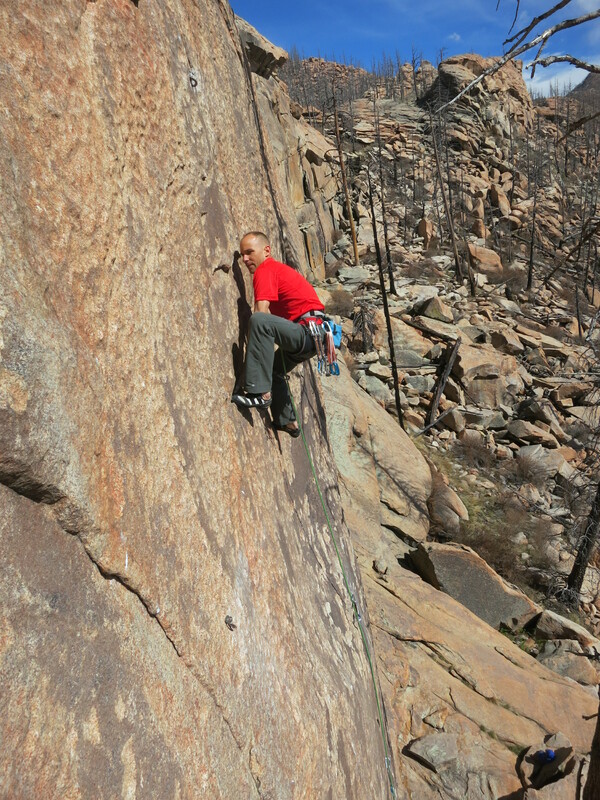 On my second burn, I still couldn’t stick it, so I continued to the top of the wall to work the rest of the route. On my way down, I decided to try that crux move one last time, and to my immense surprise, I stuck it for the first time! Now I knew for sure the route would go…assuming the weather and my skin would hold together. I had figured out a subtle hip twist that gave me just a bit more extension to reach the crux hold with my right hand. It was just what I needed to end the day on a high note and keep me psyched to train through my Power phase! The wall faces West and slightly South, so it stays shady until about 11:00, but my best burns were early in the morning. I didn’t often get more than two burns per day, which was fine because my fingertips couldn’t handle much more. I wouldn’t get back on the route for another 2 weeks due to other travel (wedding and work). Fortunately, this gave me time to bring my power up, but it put me under pressure to send before the hot weather arrived. I warmed up by climbing the upper part of the project, which allowed me to rehearse the new direct sequence again, then gave it a burn. Being second-day on, I knew this was my best chance. I set up for the crux perfectly, then did that critical hip twist and really exaggerated it to make sure I was doing it right. I stuck the crux hold, then motored-on through the next crimpers, pasting my feet on mere shadows. The sequence ends with a wild dyno straight left to a good hold, but with your feet cutting off and swinging wildly. I managed to stick this, then tried to relax for the remaining sequence up to the slab. This involved the re-engineered portion of the route, which has 5.12 climbing on rounded edges. It’s nowhere near as hard as the crux, but it’s hard enough, and with worn out skin, those edges are hard to hold onto. I focused on precise footwork, and my feet pushed me through to the slab. Halfway through the crux sequence on The Legacy. 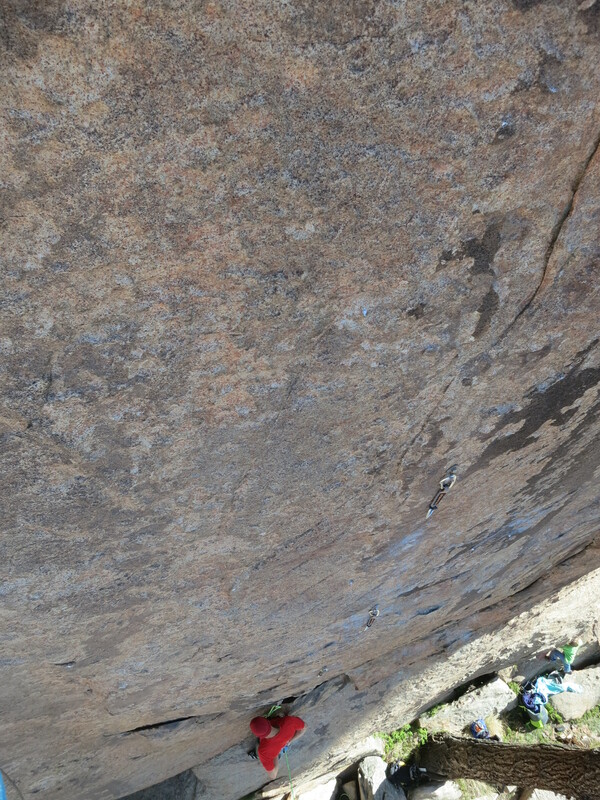 The crux ends with a wild dyno left to a good hold below the hanging draw. Pulling the first roof on The Legacy – Chris Alstrin photo. Pulling the second part of the big roof. The chicken heads are AWESOME! I monkeyed through the roof, and the “Mega Project” was a project no more. 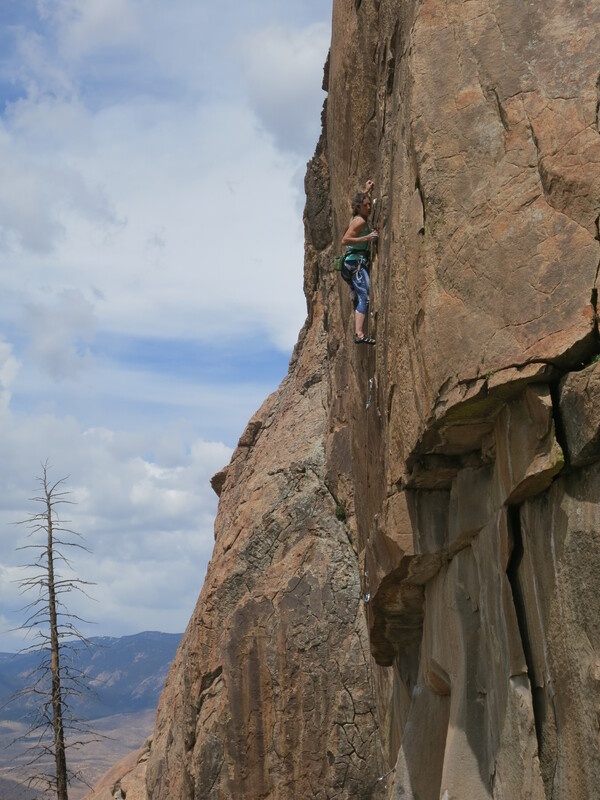 The Legacy was a hard struggle for me, and I decided to rate it 5.14a, which makes it one of the hardest routes in the South Platte. It is a truly outstanding face climb, but it’s much more than that, with killer climbing of all varieties. As I mentioned, pro filmmaker Chris Alstrin came out to document the climb, and we have some incredible aerial gigs of Thunder Ridge and The Legacy that we will premier as part of a larger film. For now, check out the last part of Chris’ highlight reel to get a teaser of what is in store (00:24 and 00:48). In the following weeks, I made several more trips out to Thunder to climb some of the classic routes, and make sure that I had a good feel for the grades. I made a point to try the hardest routes in order to establish some credibility for the ratings I was proposing. I was able to make on-sights of Thunderstruck, 13a, The Penetrators, 12c, and The Shadow, 12b at the Brown Wall, Starlight, 12d in Wasp Canyon, and The Rodeo, 12d at the Quarry Wall. 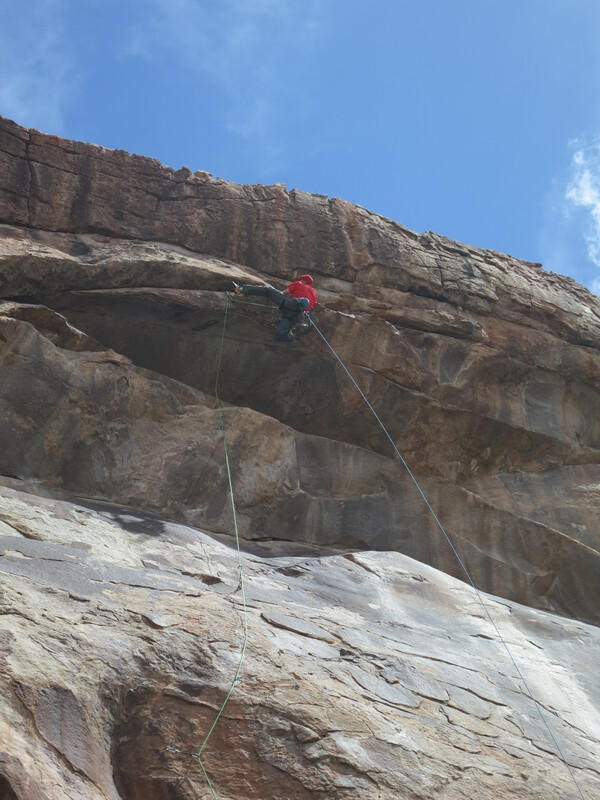 These routes were tough, and great lines, and the difficulty of the climbing was consistent with what I would expect for granite face climbing, so I feel confident in the grades I’ve assigned to my new routes. Getting to explore Thunder Ridge this spring and summer has been a real treat…one of the highlights of my climbing career. Thank you so much to all the pioneers that developed routes there before me, and especially to Kevin Stricker for envisioning what would become The Legacy, and graciously offering it to the community. I have plenty more to explore in that area, and look forward to many crisp days on the Thunder’s perfect granite. 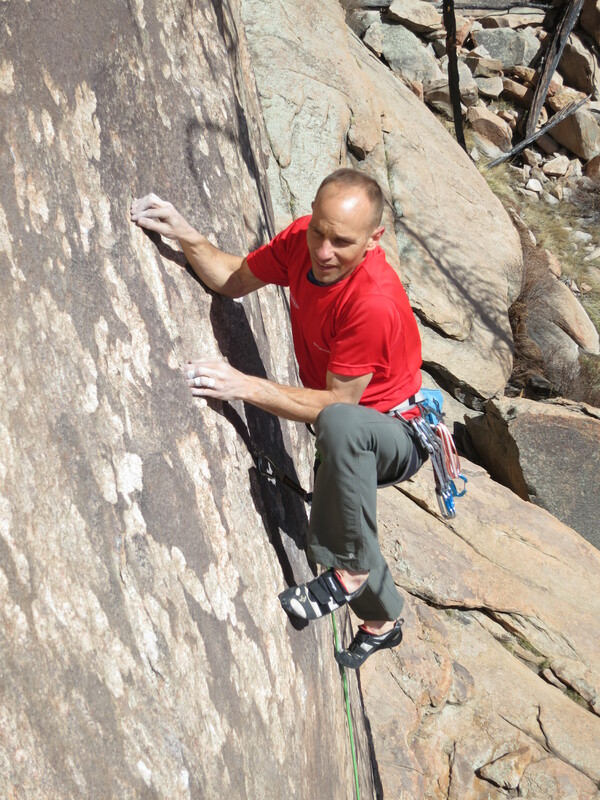 Upping the ante at Thunder Ridge – Mike Anderson established “The Spark, 5.13c” at Thunder Ridge in April. 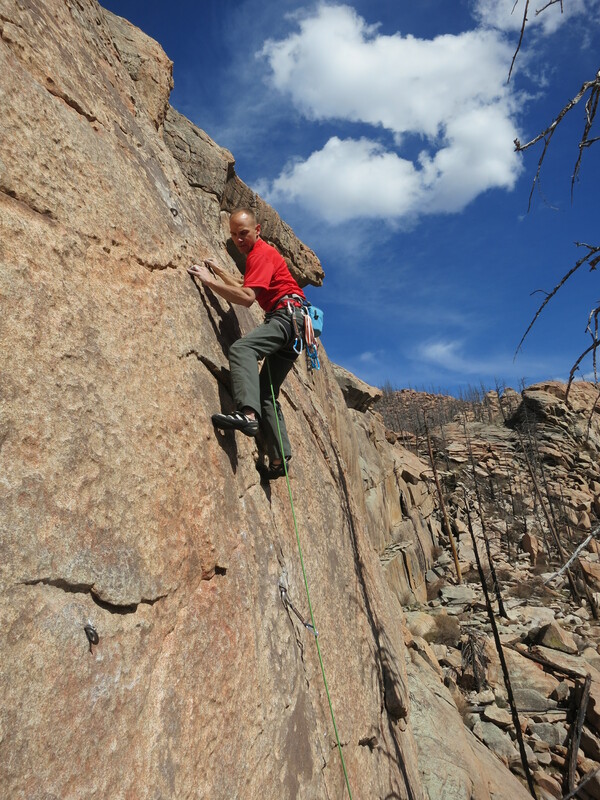 Thunder Ridge is a beautiful, but tiny climbing area just West of my home in Colorado Springs, Colorado. It is somewhat of a backwater crag these days, frequented by locals who know how good it is, but ignored by most. The rock is impeccable granite – possibly the best quality granite in the entire Rocky Mountains (if not North America?) with extremely fine, tight crystals that make for pleasant and bomber climbing, and its walls are covered with gorgeous brown patina that forms wonderful handholds. Unfortunately, this magnificent rock is concentrated in a very small location in the South Platte region of Colorado. 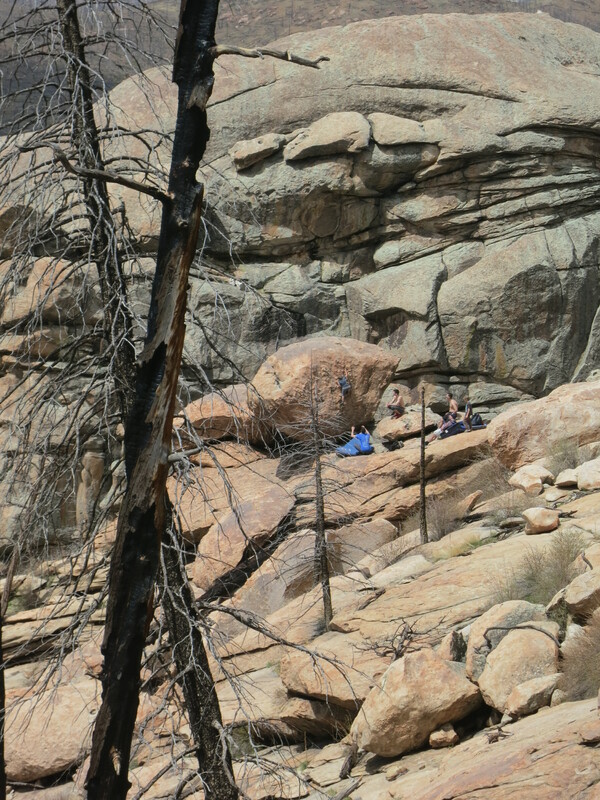 By some geological quirk, Thunder Ridge has this impeccable stone, while most of the South Platte region ranges from fair to horrible granite. The major developers climbed what they could in that time span, and eventually stopped putting in new routes. When all was said and done, hundreds of brilliant routes were established throughout its maze of canyons and walls. 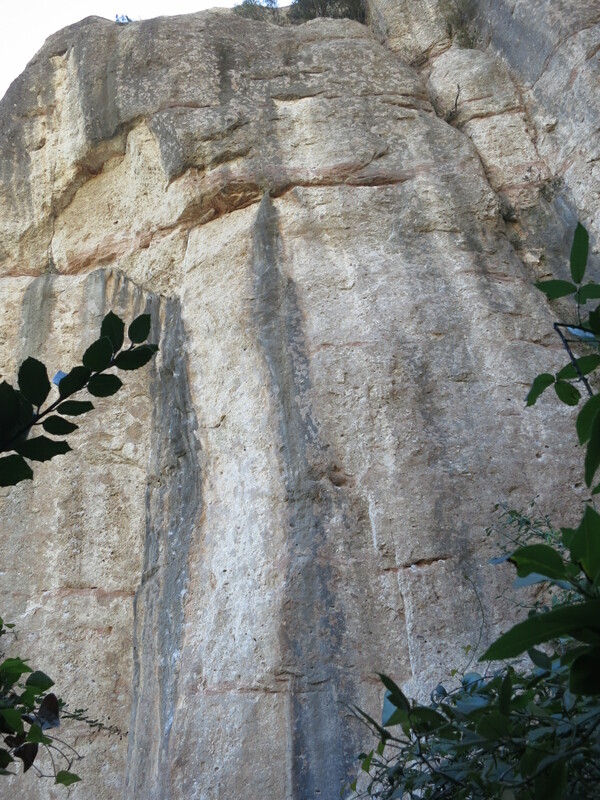 The most difficult climbs topped out in the 12+ and 13- range owing to the geology of the rock, such as the cliff angles and hold sizes. I was extremely lucky to first visit Thunder Ridge in 1998, when I was a cadet at the Air Force Academy. A friend of the “officer in charge” of our climbing club, who was an F-15 fighter pilot living in town happened to be neighbors with Kevin McLaughlin – the driving force behind TR climbing. He knew where the crag was and offered to show it to us. I enjoyed the climbing a lot that day, but I was really too inexperienced to really appreciate what a gem it was as a crag. I never went back until just this past spring. 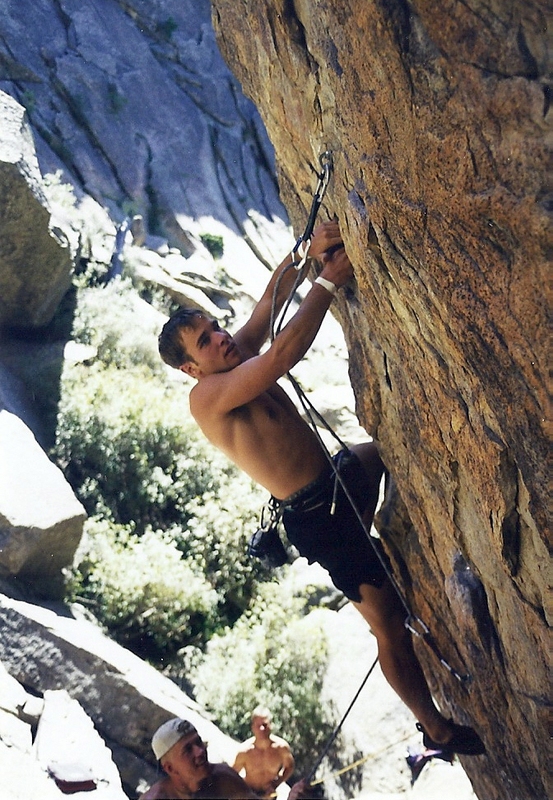 Climbing in Thunder Ridge’s Wasp Canyon in 1998, when I was a USAF Academy Cadet. 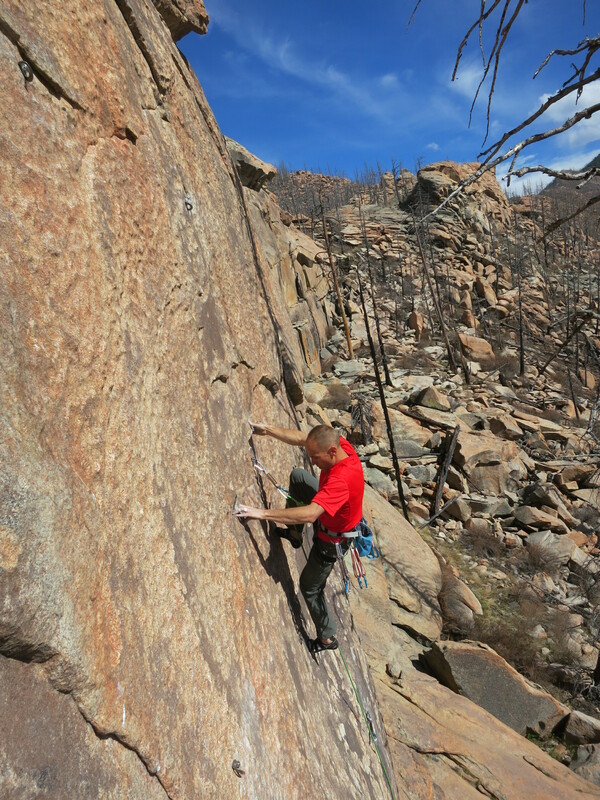 Last summer Jason Haas published a new guidebook to the area, and he got me fired up to take down some long-standing projects in the South Platte, among them a few lines at Thunder Ridge. 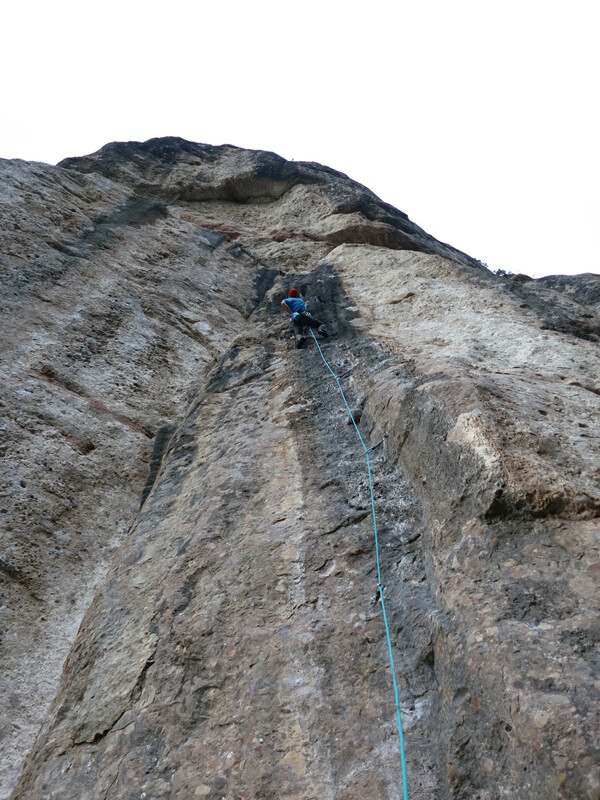 We ventured out in April to have a look, and were immediately blown away by the potential for high quality, hard routes. I dusted off my drill and a bunch of stainless steel bolts, and got to work at The Brown Wall – Thunder’s biggest and most dramatic wall. 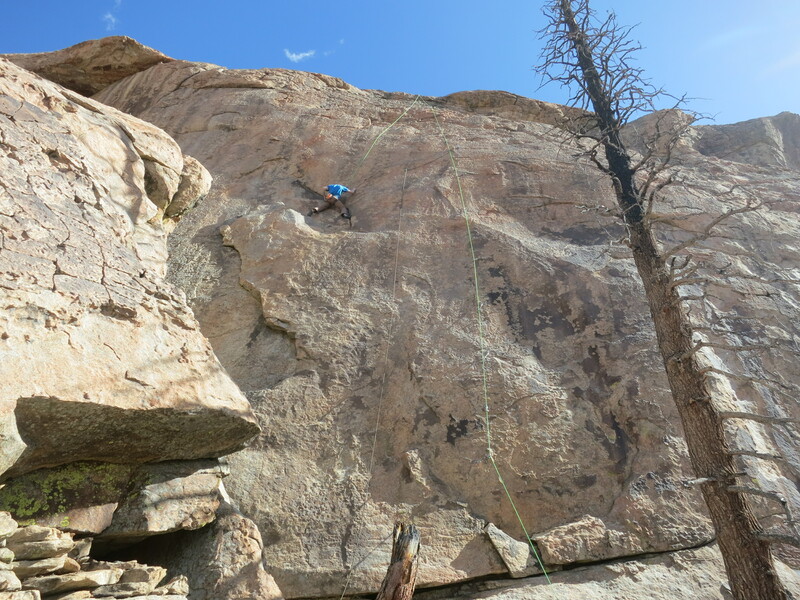 Normally, I would try to climb through the grades at a new area, getting to know the climbing style, and getting a feel for the grading, but I was so psyched on the potential first ascents, that I did very little of that. 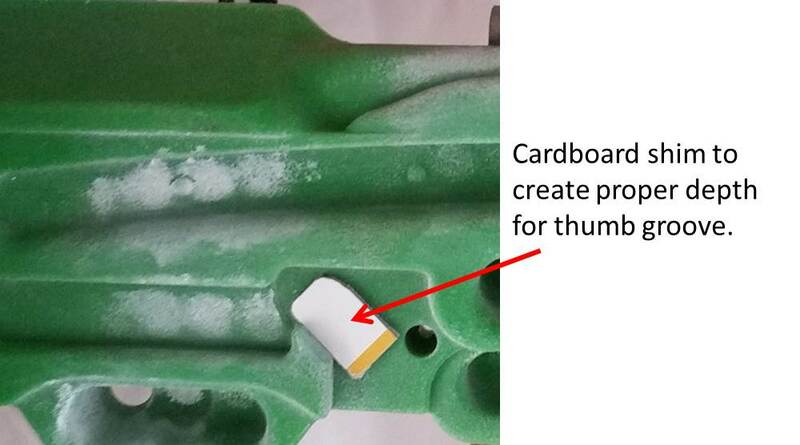 The first order of business was a line that had reportedly been tried on toprope and Jason had recommended to me. It was a perfect, vertical swath of granite painted with dark brown patina. If this could be free climbed, it would be absolutely brilliant! I decided I would go along with the tradition of the area and establish these routes in the ground-up style. It was something I hadn’t done in awhile, and I thought it would be fun. So, I piled on the gear and I launched up the wall. First bolt…the threads got stripped while it was pounded into the hole because the rock is so hard (and good). I couldn’t tighten the bolt, and I was going up on lead, so I couldn’t do much about it. I clipped the manky bolt and continued. 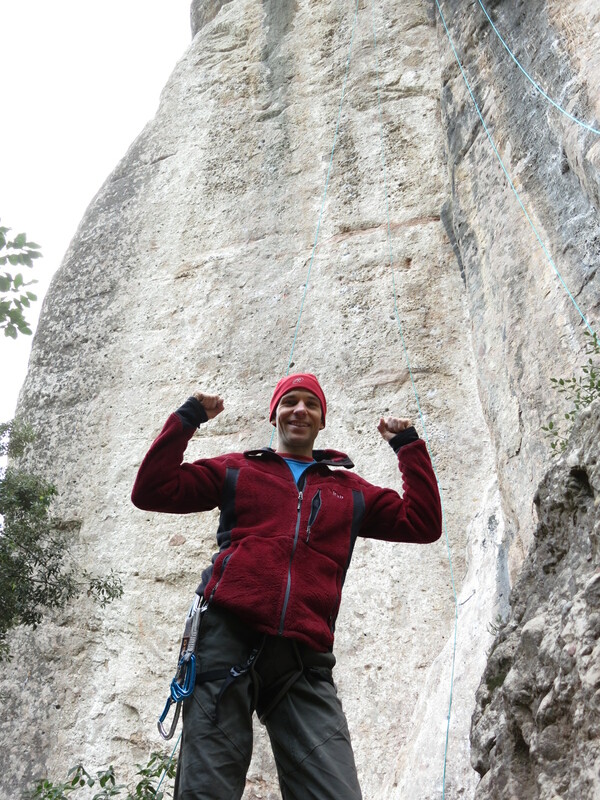 As I went, I could tell the climbing was going to be awesome, and HARD – my dream come true! My first project would explore the brown indentation just right of the green rope. I got three more bolts in, covering most of the crux when my old Hilti battery died…shucks! I still had about 40 feet to go before I could get good gear, and I wanted to do this route now, not wait for another trip! It looked like I could get a marginal piece of gear another ten feet up, so I decided to punch it on some easier climbing. I sketched through this and made it to a point where the face rolled over to a heavily featured slab, covered with crazy “chicken-head” holds. I was able to place plenty of gear, and I cruised to the chains. I lowered down, brushed some holds and rehearsed the crux. 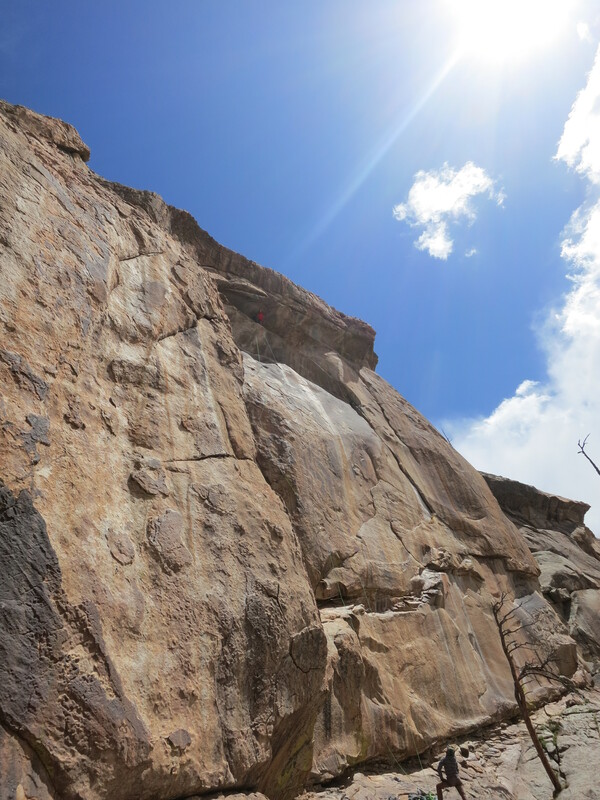 At the crux, you have a couple nice handholds formed by a 2″ wide ledge, then a long patch of featureless rock. Higher, there is a rounded seam feature, so I thought I might be able to lock off from the ledge and reach very high to a Gaston in the seam. If I latched it, I would be very stretched out and tenuous, so I needed to work out the foot moves to unwind from this. I discovered a possible sequence and lowered down to go for the free ascent. On redpoint, the moves turned out to be more challenging than I had first envisioned, and the long reach, that had seemed fairly straightforward on the hang, turned out to be quite hard. My first try, I fell, then rehearsed the sequence again. It was getting late, but I decided to give the route a second redpoint attempt. I fell again! I rehearsed the move yet again, and lowered down again. The third try was the charm, and I was able to get through the crux sequence. I had only managed to get four bolts in, so I had to climb the upper part again with no protection, but I knew the moves fairly well by now. The extra fatigue added some spice, but I made it through, for the first ascent of The Spark. 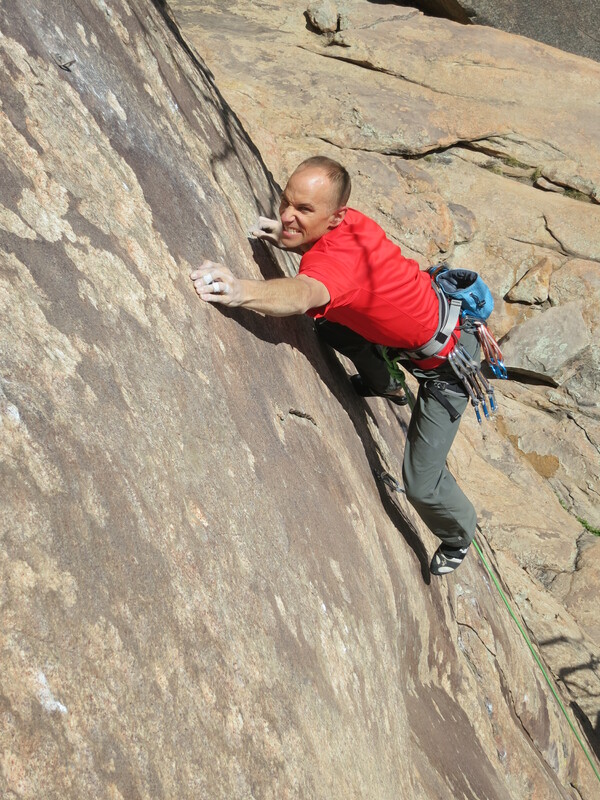 At 5.13c, it was now the hardest route at Thunder Ridge. The name is an allusion to what I hope will be the start of a long love affair with Thunder Ridge climbing. Psyching up for the crux at the mini-ledge. Bearing down on the tiny crimps in the crux of The Spark. Continuing the taxing, technical climbing exiting the crux sequence. 5.11-ish face climbing after the crux. 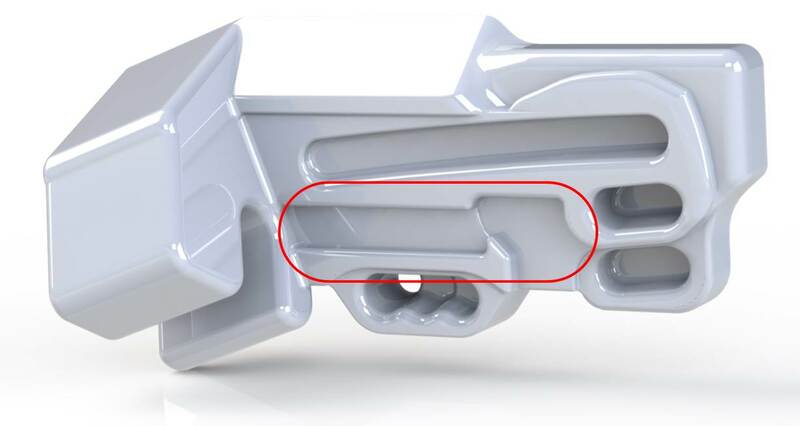 This bolt and the next one were not present during the FA, but I was able to get a weird cam placement in the horizontal crack feature above the next bolt. Finished with the hard climbing, and ready to enjoy the cruiser chicken heads that lead to the chains. While working on The Spark, I realized there could be two routes here. The section of stone to the left appeared much easier…maybe a nice 12- route, but further inspection revealed the potential for something much harder. This would be the next order of business. I borrowed a friends brand new Bosch, so this route went in much easier…no hijinx were required to get the bolts in. I enjoyed the lead bolting because it made the puzzle a bit more complicated, even if it sometimes leaves the bolts in weird spots. Psyching up to try for the first free ascent of Game of Drones. Check out the sculpted incut holds! 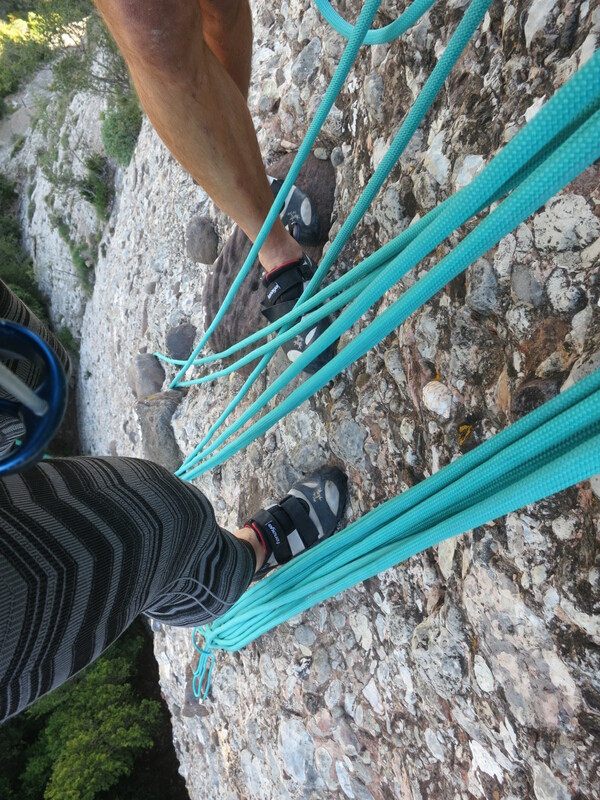 Getting into the cruxier moves, with long reaches between less-positive holds. A crazy-long undercling move to a good edge. Nearing the big flake that leads to the neighboring “Schmausser Traverse” route…the FA is in the bag now! After these two successes, I was psyched, and a little obsessed with the power of Thunder Ridge. Jason had turned me on to another potential route, also on the Brown Wall. It was listed in the guide as “Kevin’s Mega Project”, and reported to be quite hard. This would be next on the agenda. Was I up to the task? Stay tuned to find out….